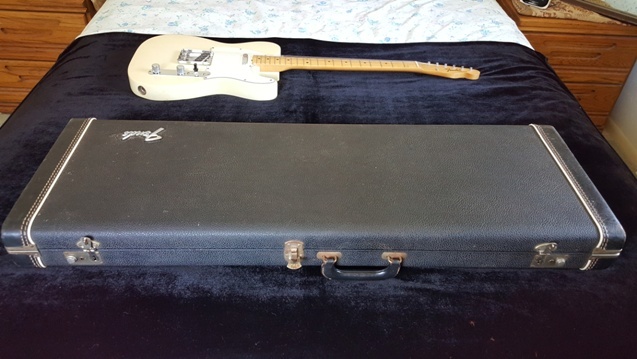 For Sale: 1963/1964 Fender Tele, Pre-CBS, EXC! 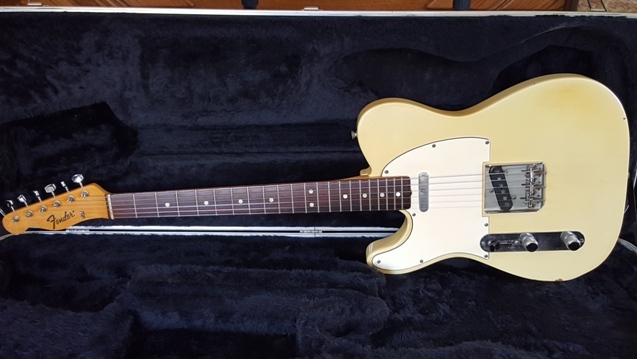 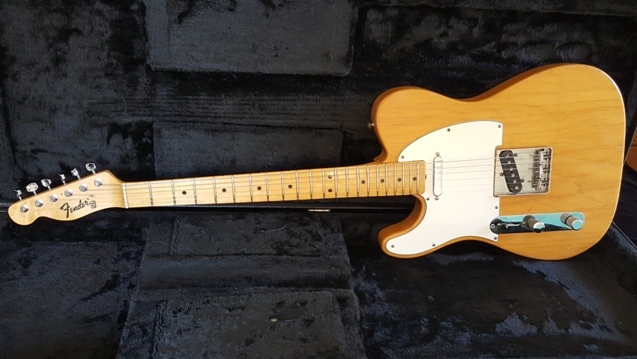 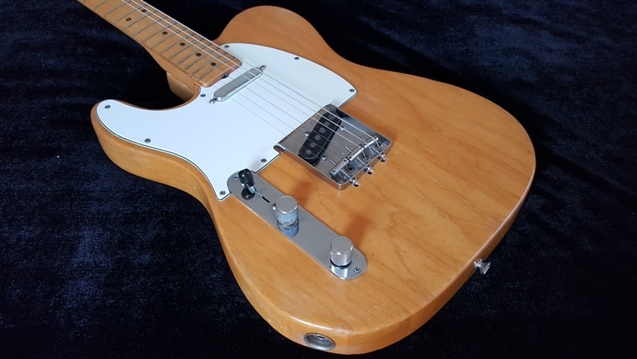 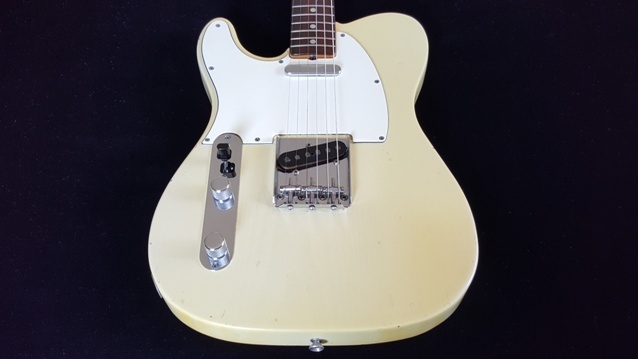 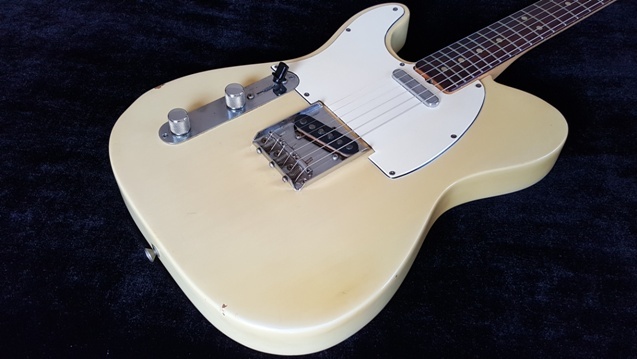 This is a factory Left Handed 1963/64 Fender Tele, Blonde finish, Brazilian Rosewood Fingerboard, 100% Original, comes with an early 1970s Fender case. 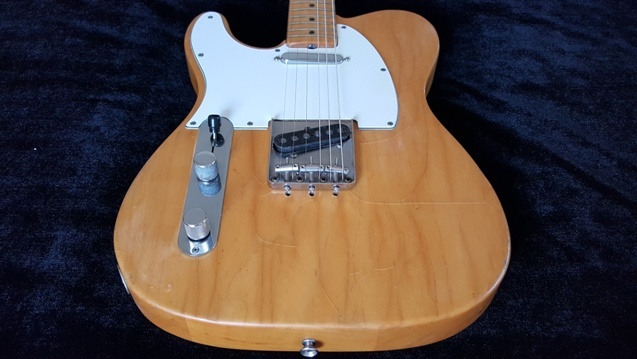 Pre-CBS lefty Teles with rosewood boards are hard to find – much rarer than the Strats! 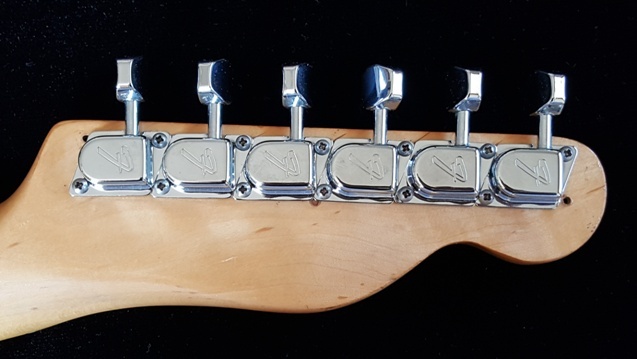 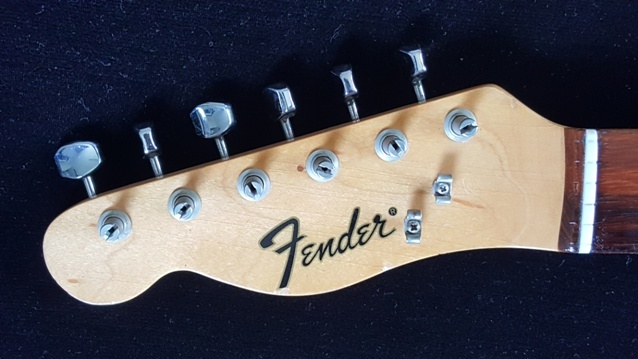 It has the Spaghetti logo, clay dots, single-ply white guard, double-line Kluson tuners, moderate wear on the body with some buckle wear through the wood on the back. 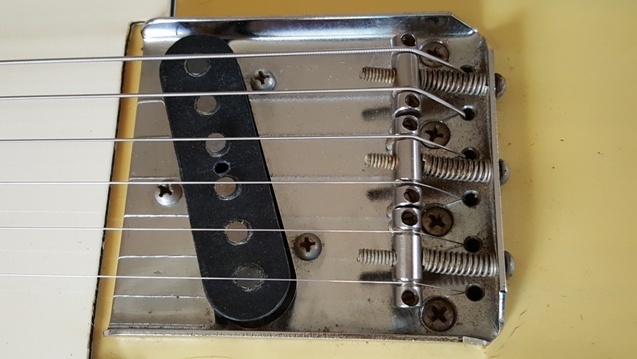 It plays really well and you can actually bend the strings easily on this one. 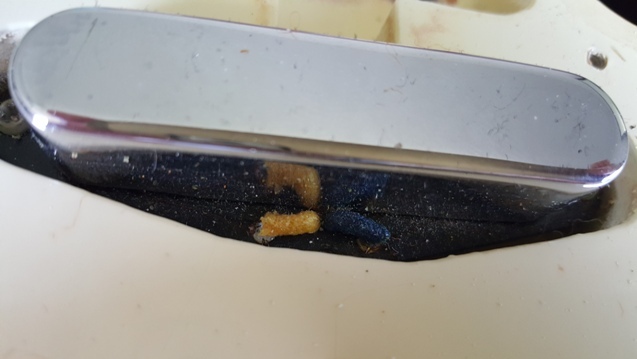 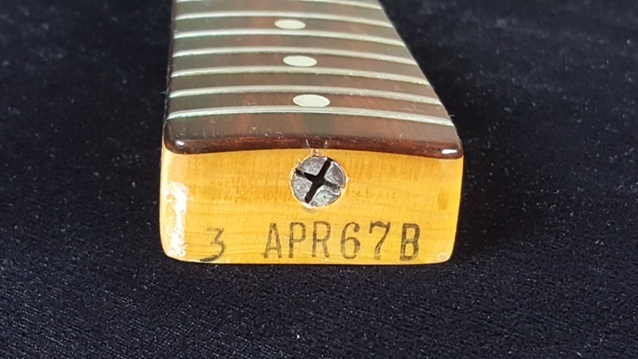 It has some mild fret wear, mainly on the first 3 frets. 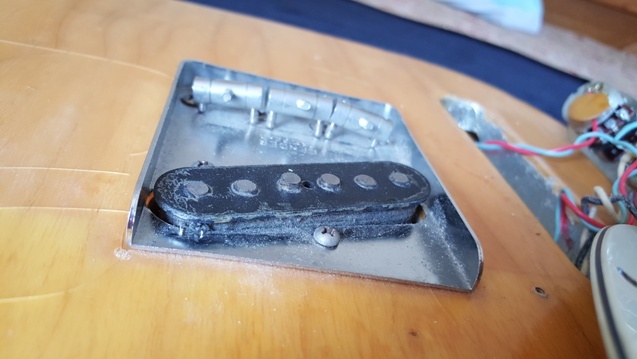 This Tele has the vintage deep-rhythm wiring, but the 3-way switch does hold the in-between neck and bridge PUP setting well. 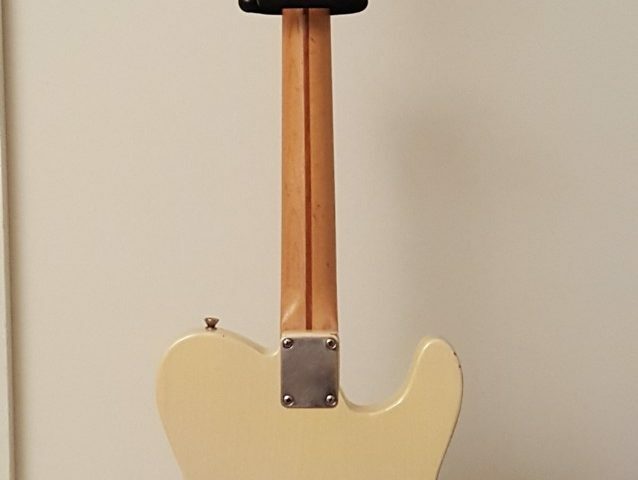 The Tele has a great weight at 7 lbs, 3 oz. 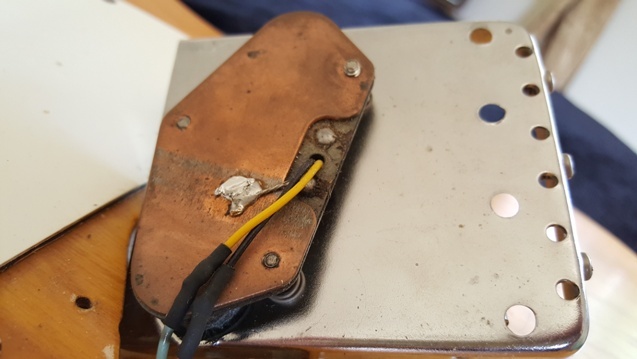 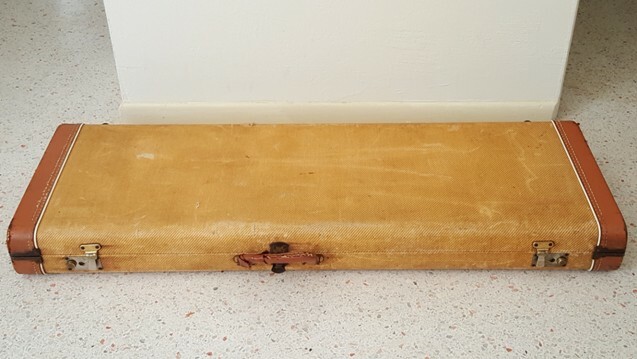 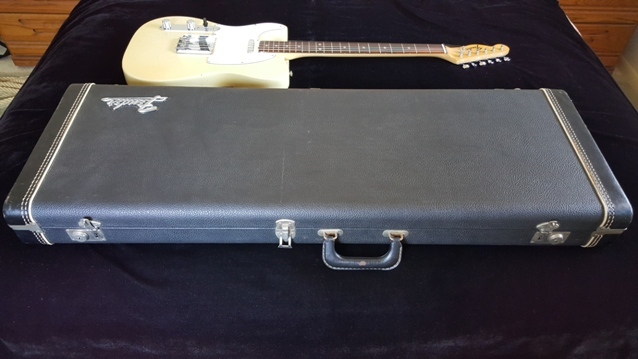 Comes with an early 70s Fender case(first case Fender issued after the 67-72 tail logo case). 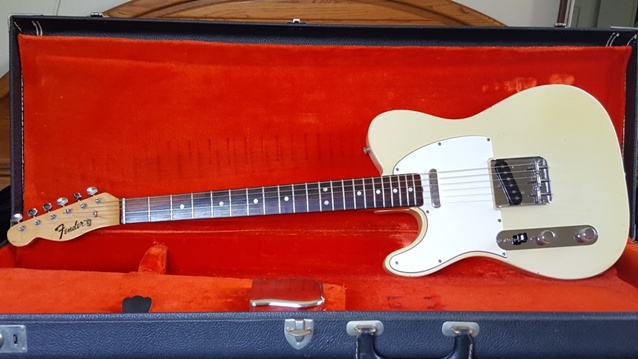 1957 Fender Tele, Excellent Condition with OHSC and Gruhn Appraisal! 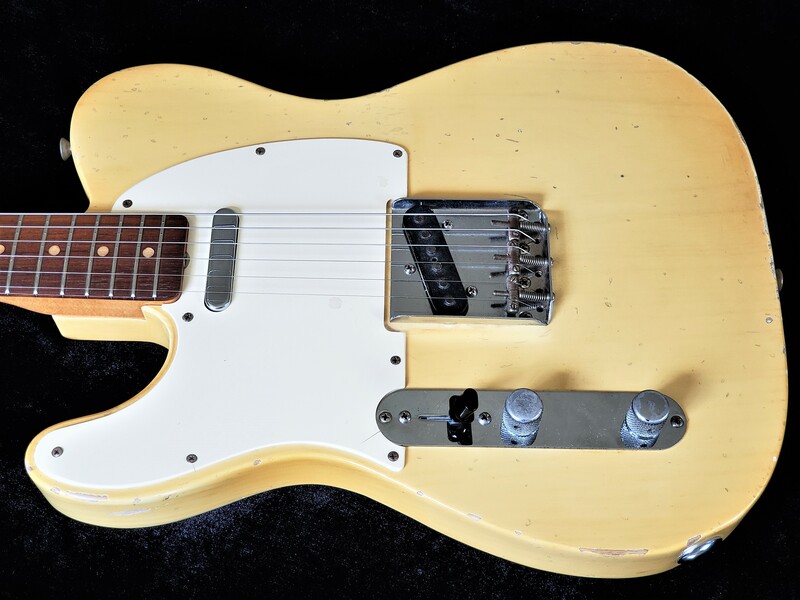 Rare Left Handed 1957 Fender Tele in Blonde finish, OHSC, Excellent Condition. 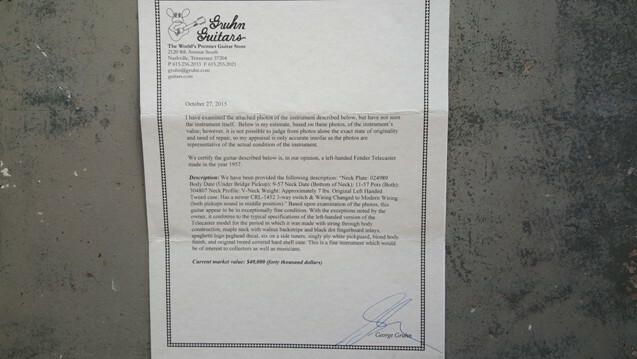 Includes appraisal letter from George Gruhn! 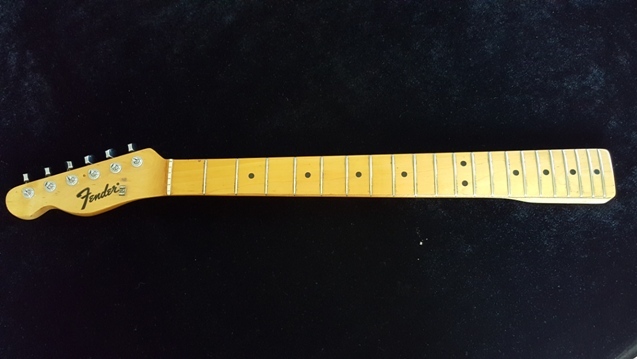 Features V-Neck profile, light weight at around 7 lbs. 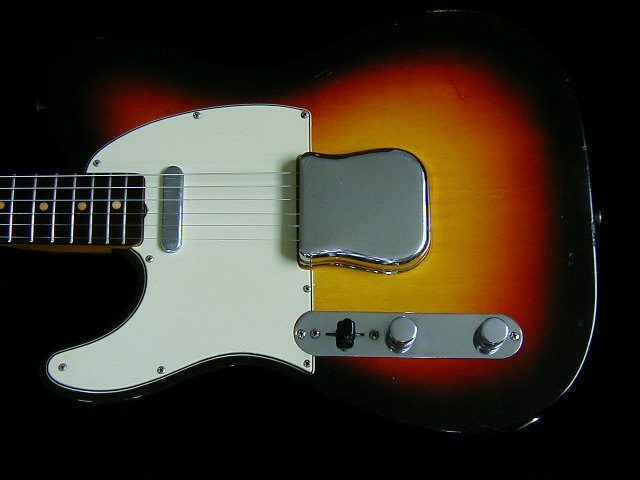 1961 Lefty Fender Tele, Sunburst Custom Color, 100% Original, RARE!!! 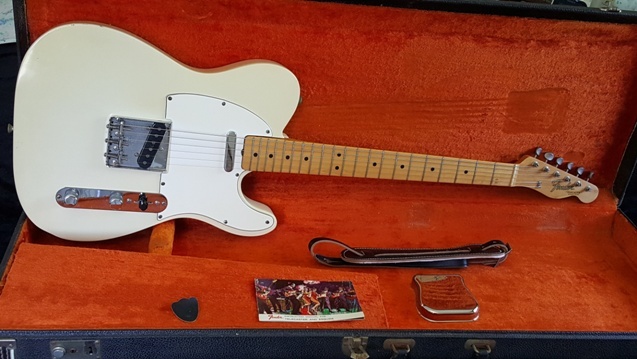 Insanely rare and ultra cool Lefty 1961 Fender Tele with a Sunburst Custom Color, EXC condition, 100% original with OHSC and ashtray cover. 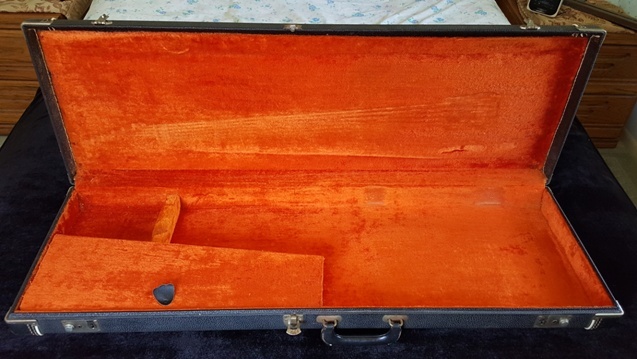 The original lefty brown case is even nicer than the one for my 1961 Strat! 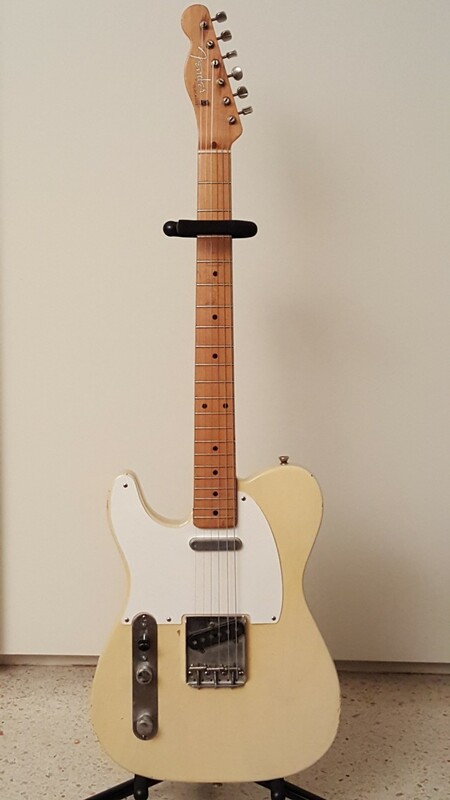 How rare is this guitar? 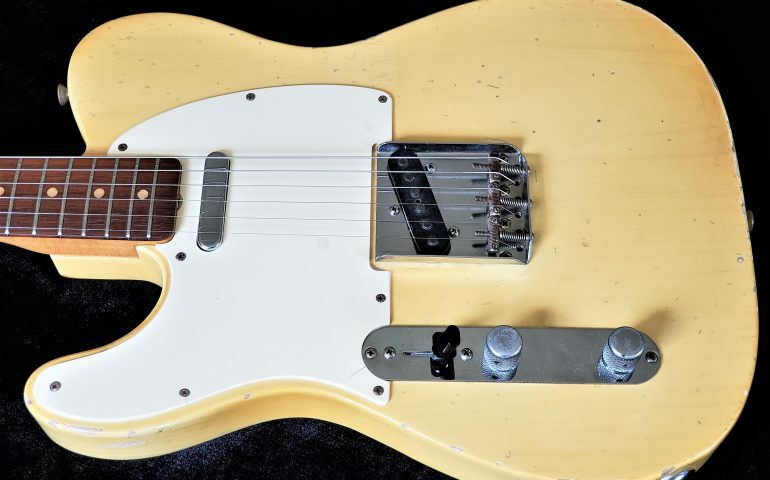 This is the ONLY lefty slab board Custom Color Tele I have ever seen; may be the only one on the planet! 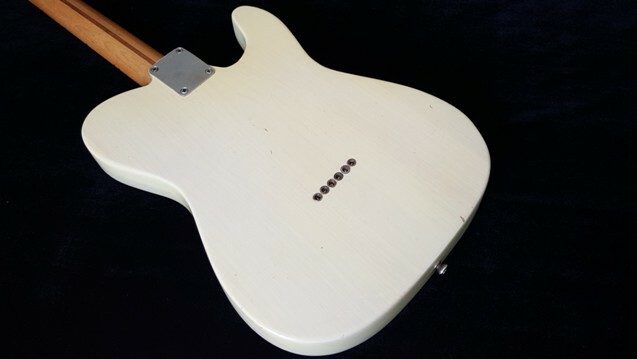 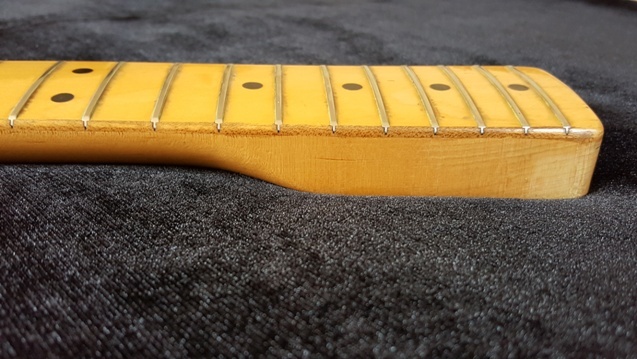 This guitar is MUCH more rare than a slab Strat – there is no comparison! 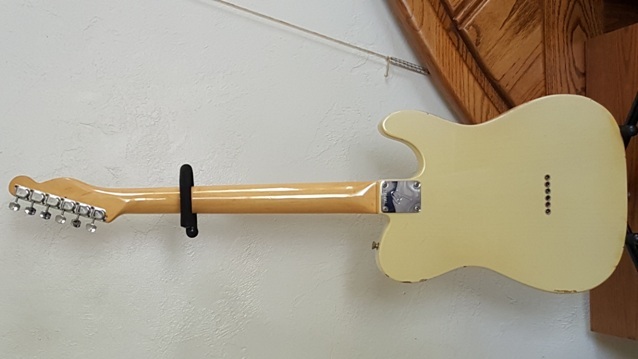 This Tele has a real nice blend Sunburst finish typical of 1961, strong unfaded color, Dark Brazilian rosewood fingerboard, frets have moderate wear with plenty of life left, has some nicks/dings with only a few spots on the edges down to the wood(see pics), the volume pot has wear but still very functional, and the bridge pickup is truly outstanding! 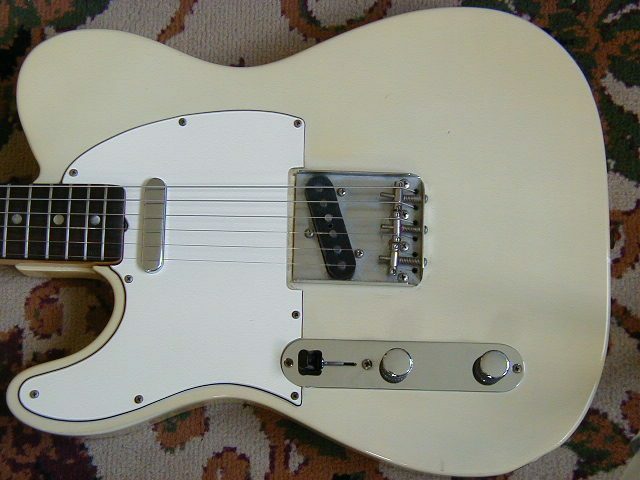 This guitar has a tremendous resonance and plays really, really well. 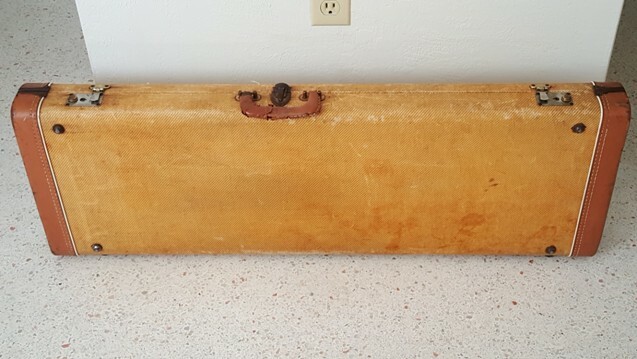 Nice weight around 7.5 lbs. 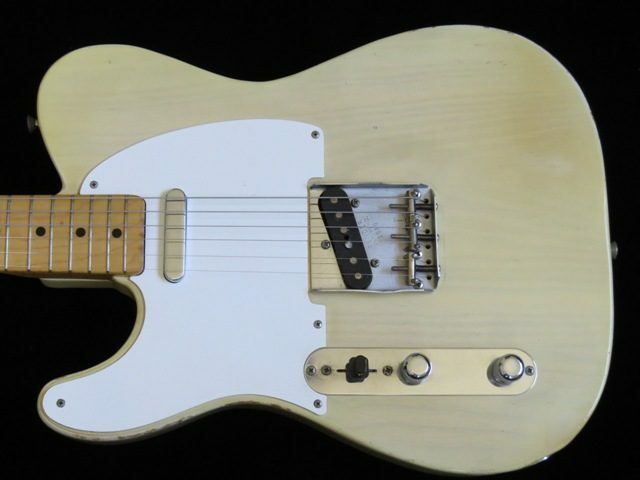 If you’re a lefty player into vintage Teles, you MUST own this guitar! 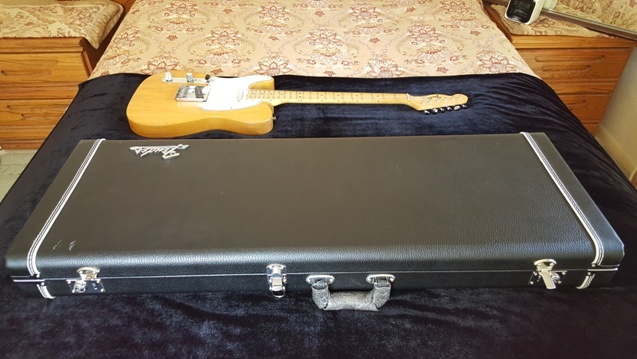 1967 Fender Tele, Superb Tone & Playability, EXC! 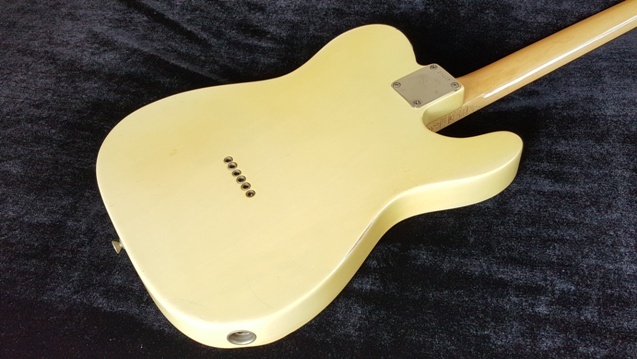 1967 Fender Tele, Blonde finish with DARK & nicely figured Brazilian rosewood fingerboard, super clean condition, 100 % original condition. 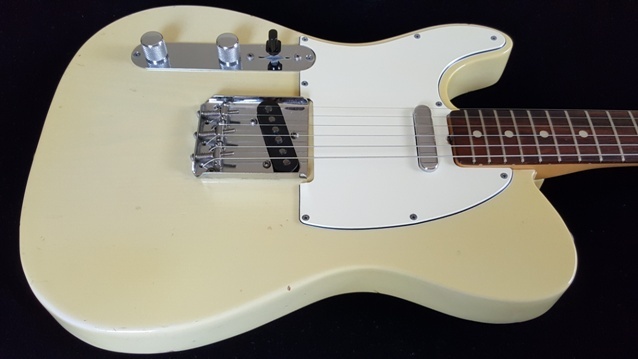 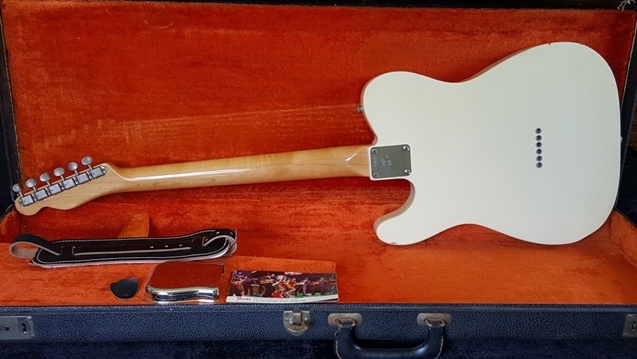 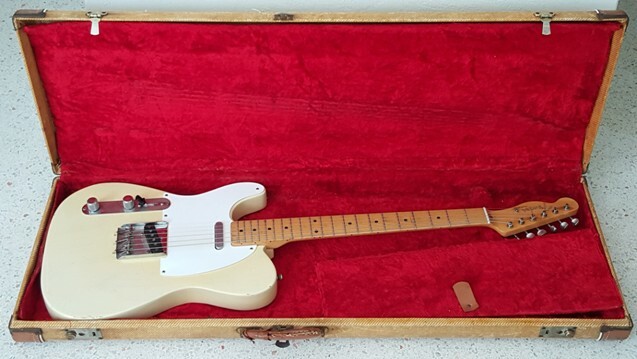 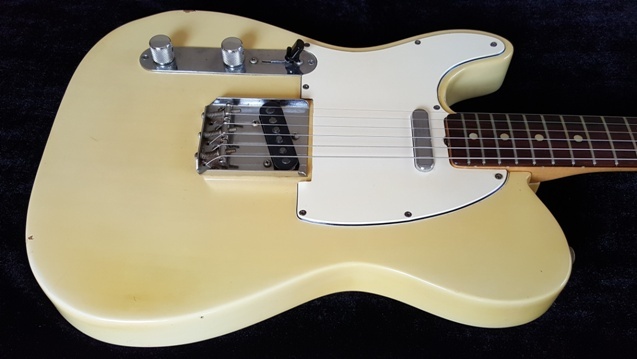 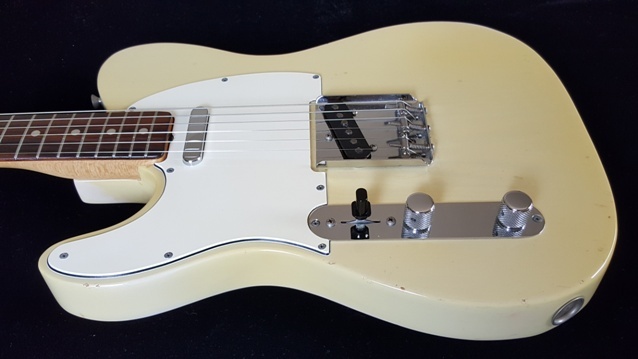 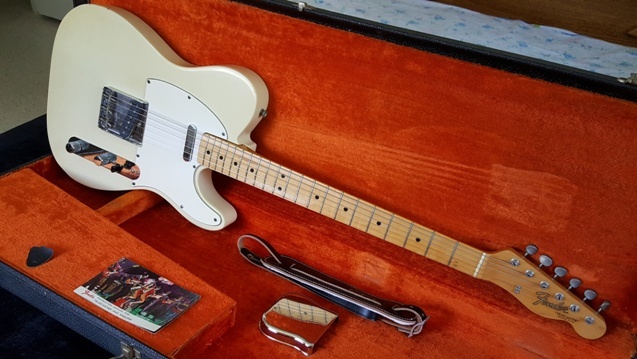 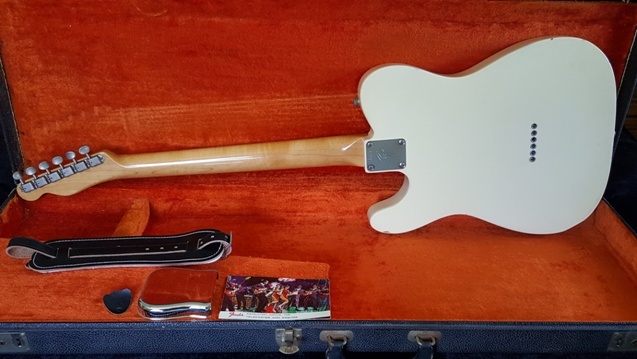 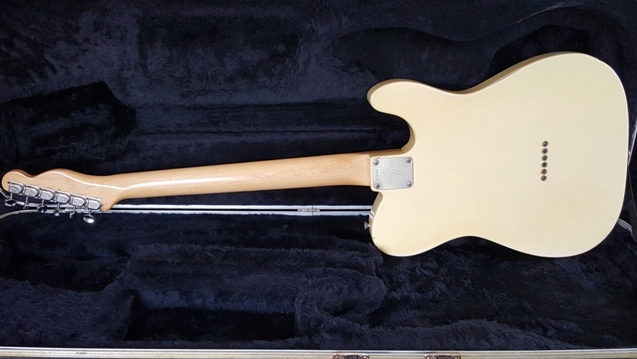 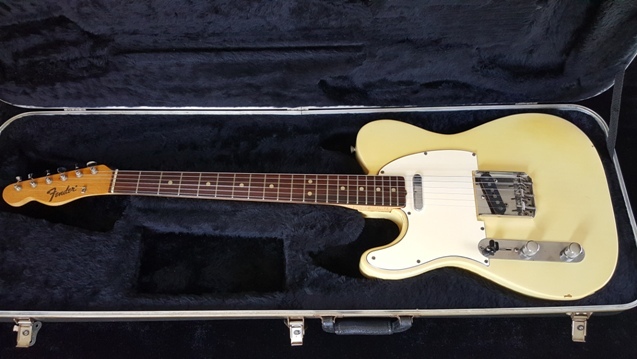 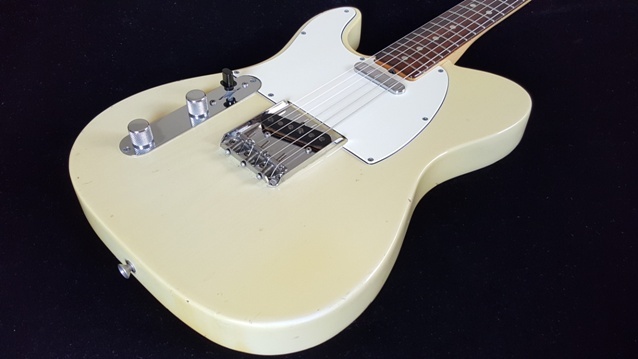 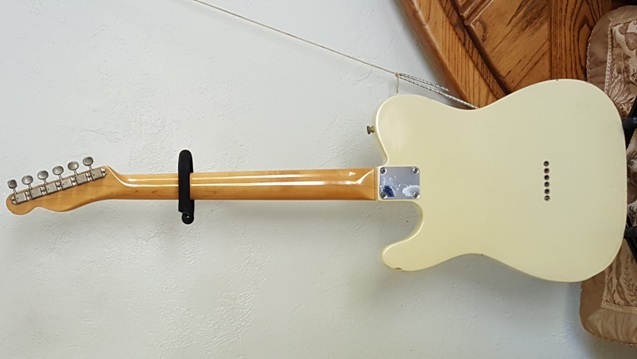 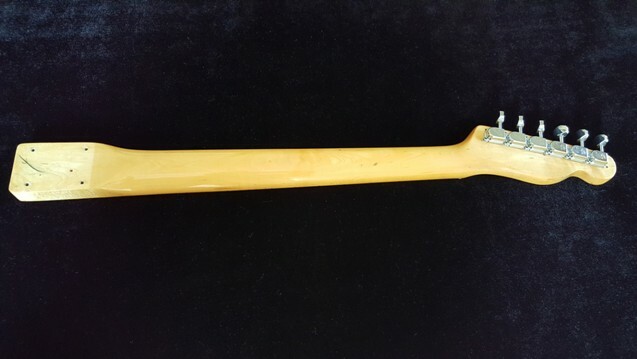 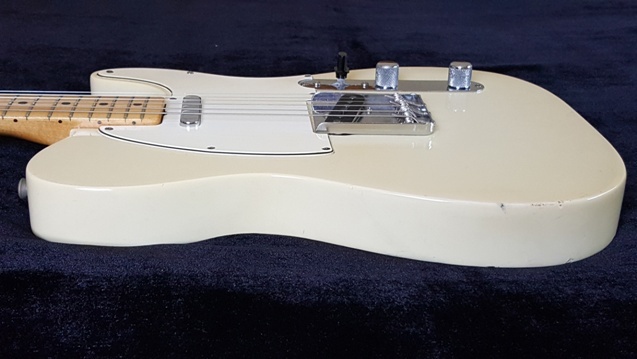 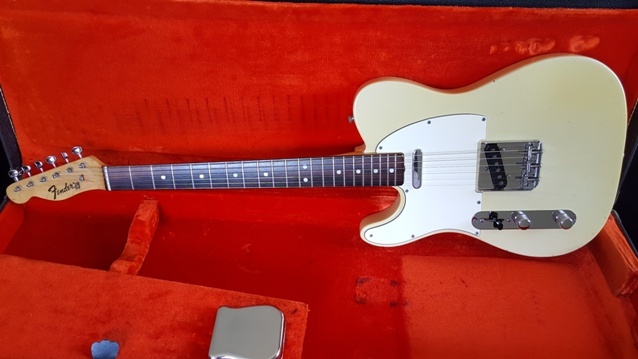 Includes right handed period-correct case with tail logo; I’ve seen a similar 1967 left handed Blonde Tele that also came with a righty period-correct case, so it may be original. 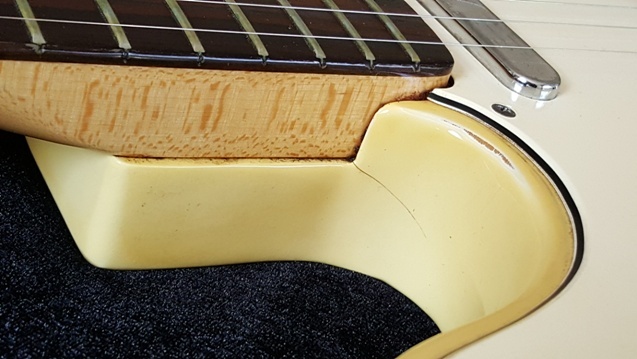 Also comes with original ashtray bridge cover. 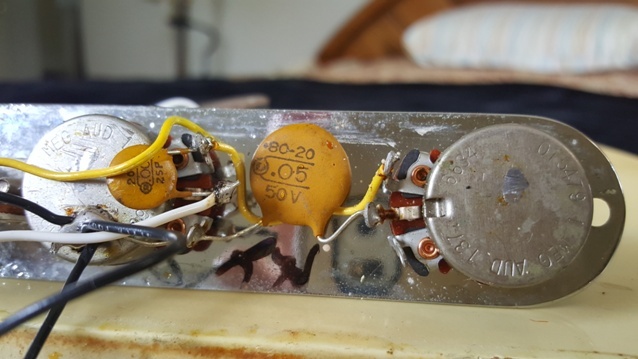 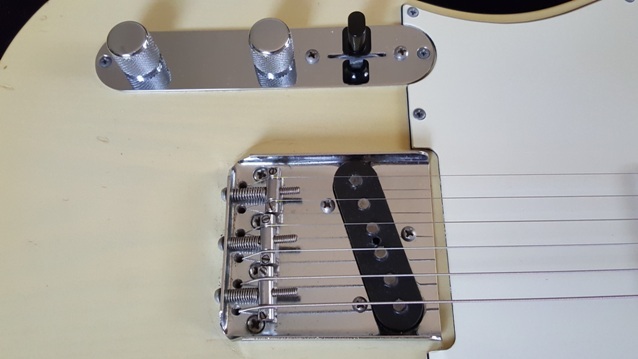 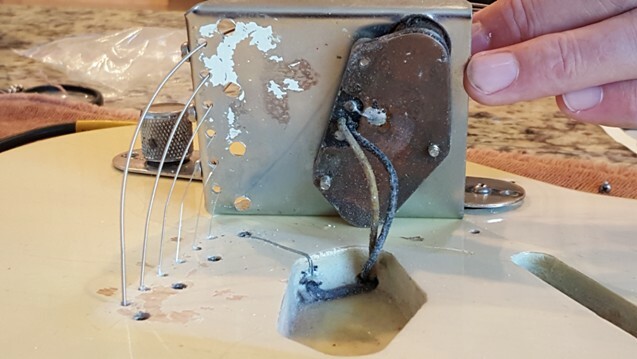 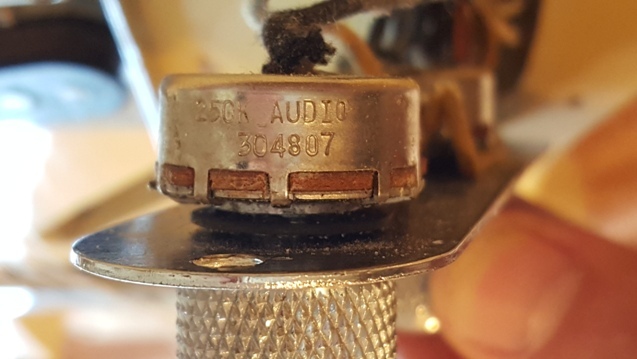 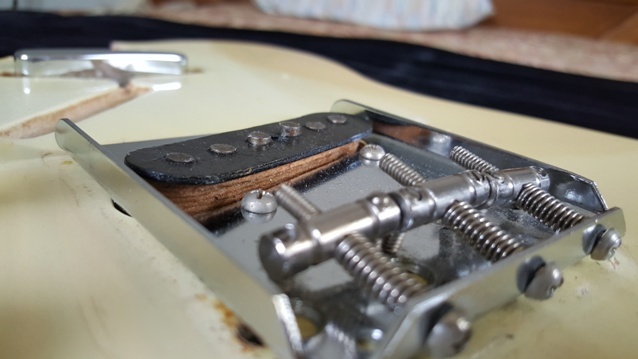 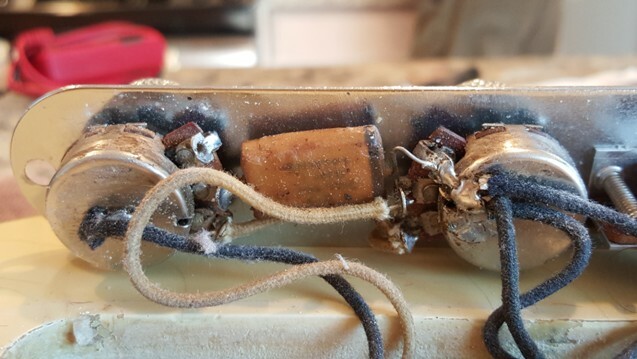 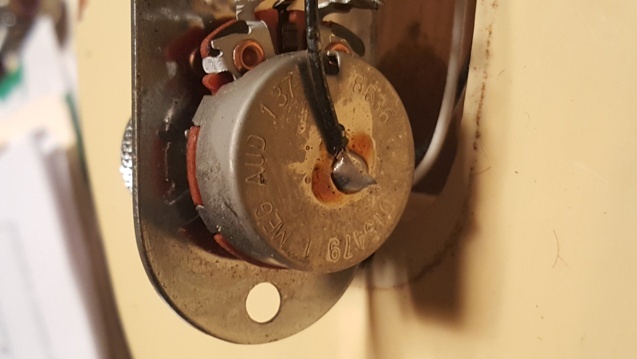 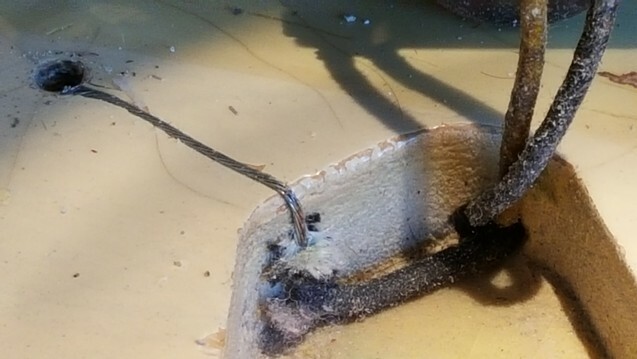 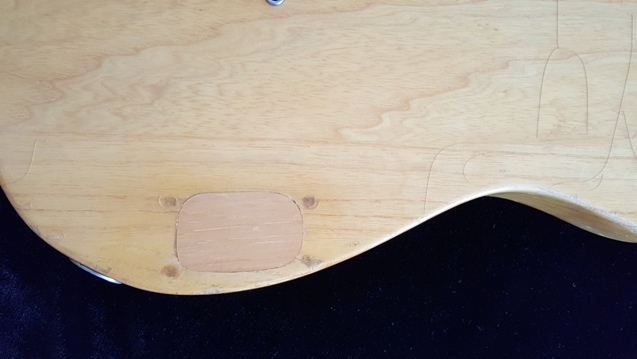 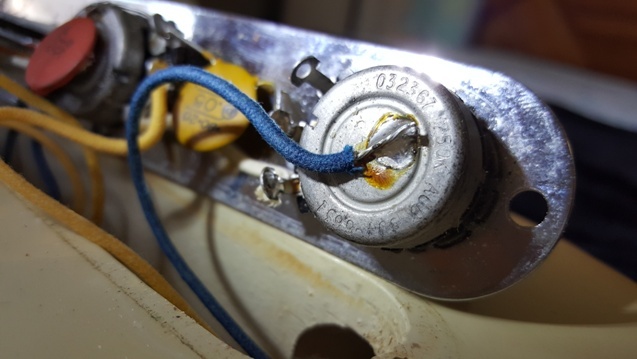 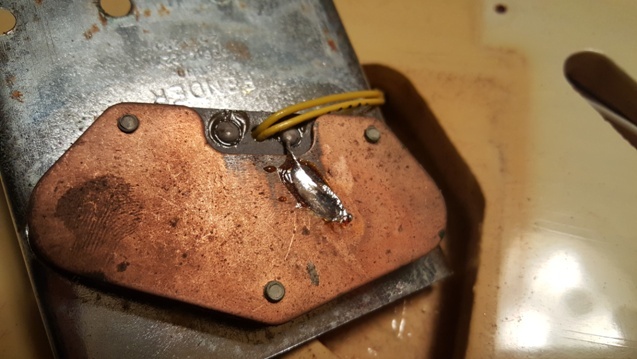 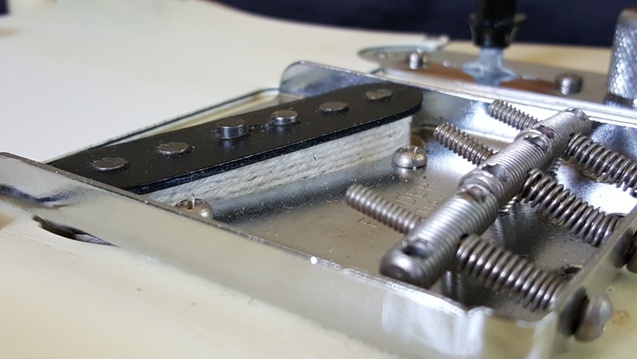 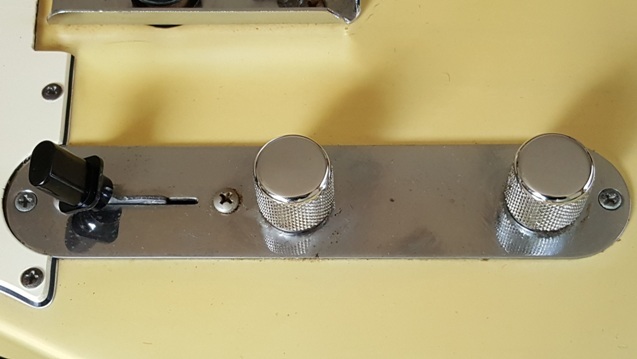 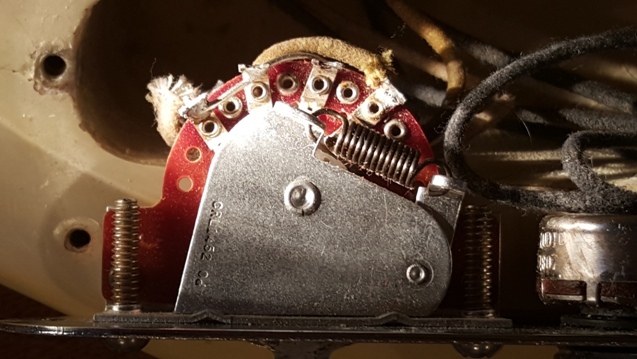 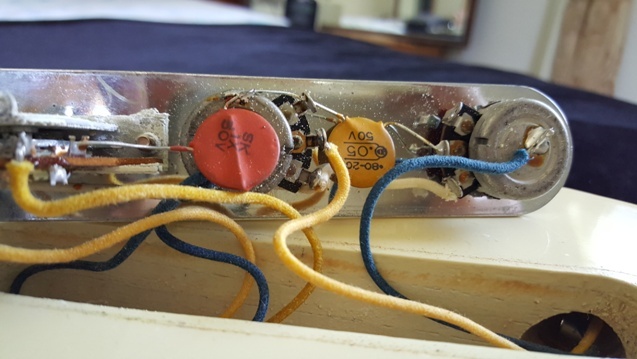 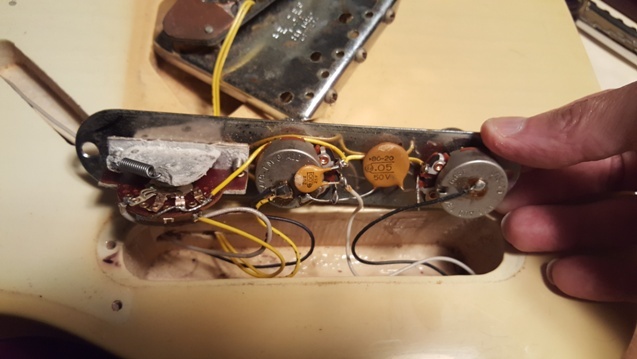 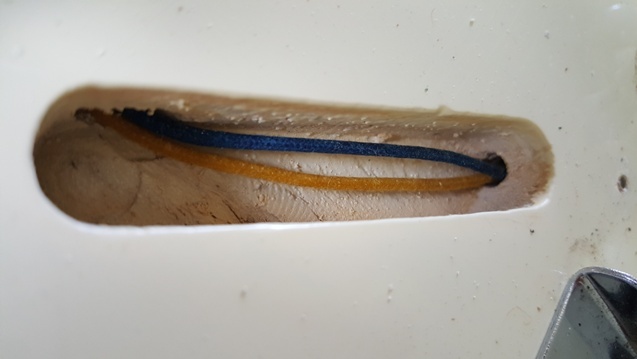 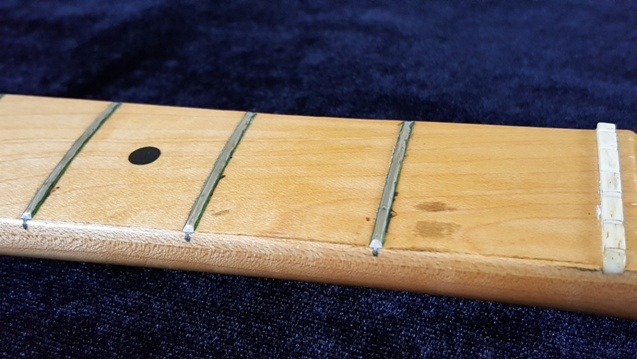 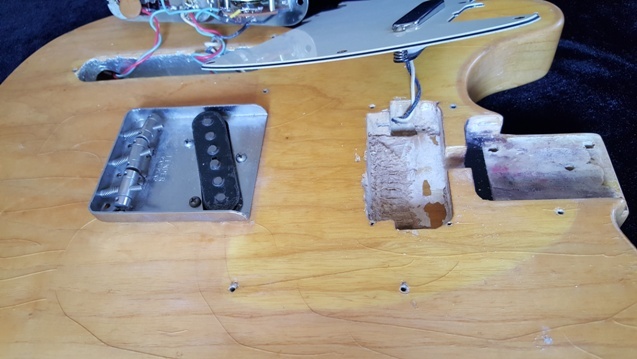 This has the modern, post-deep rhythm Tele wiring that started around mid-1967. 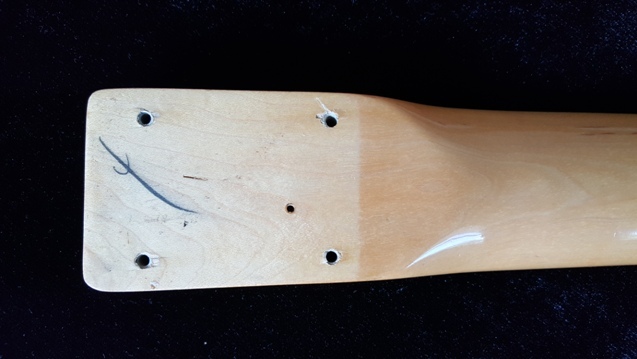 This allows you to access the in-between PUPs setting in the middle position. 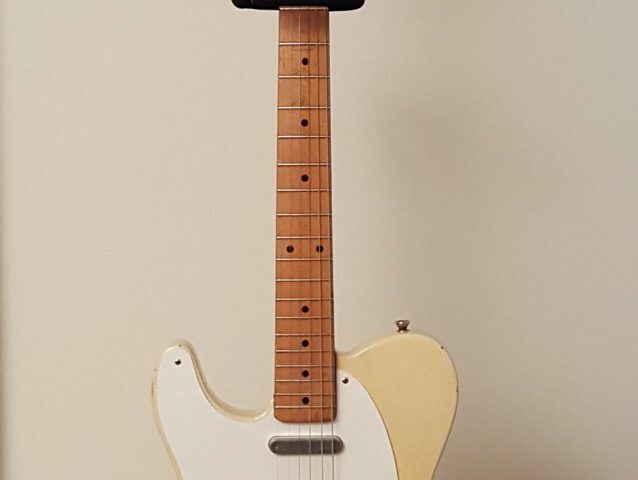 I really like the way this Tele plays and sounds. 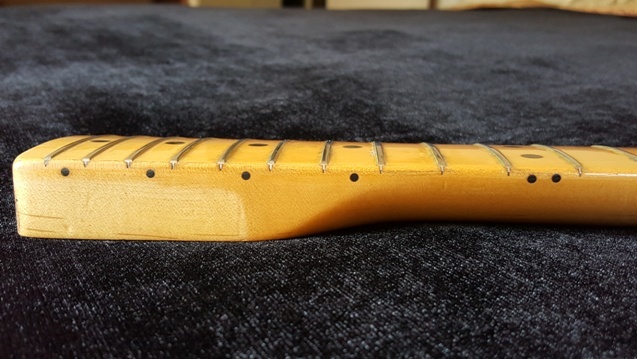 It has an exceptional bottom-end, one of the better Fenders I’ve heard. 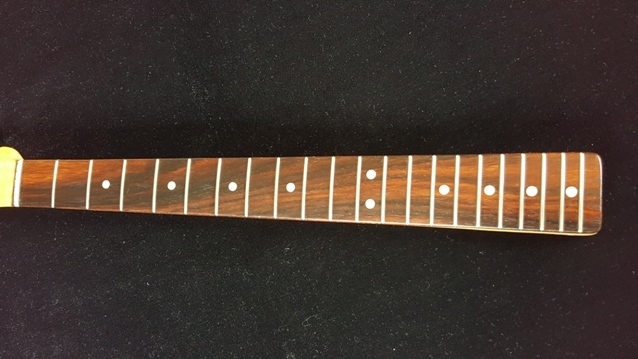 The neck pocket has a nice tight fit, which may account for the great tone and vibe of this guitar. 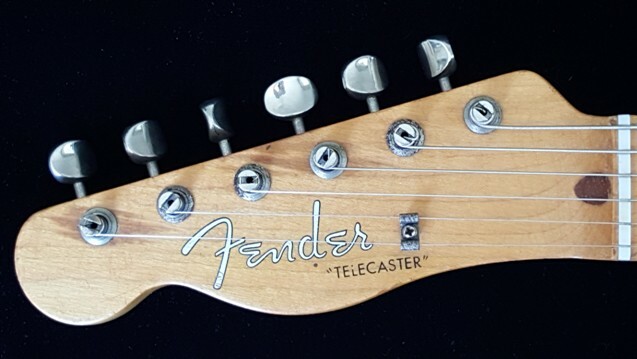 1966 Fender Tele, Maple Cap, 100% Original, Investment Grade! 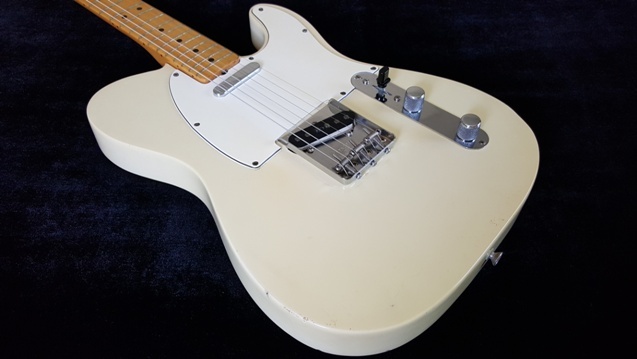 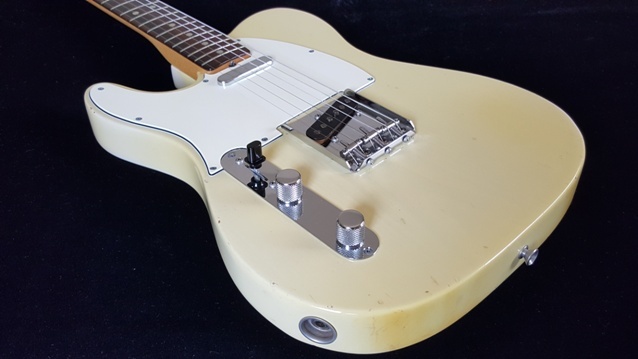 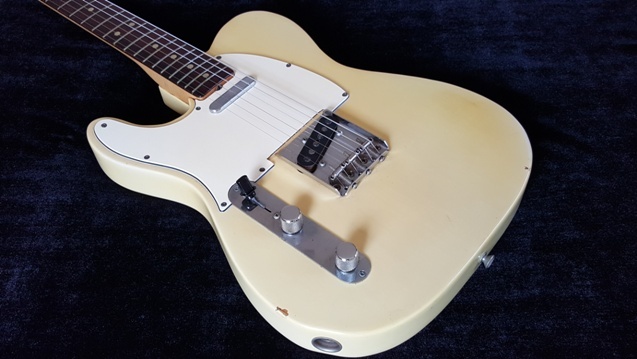 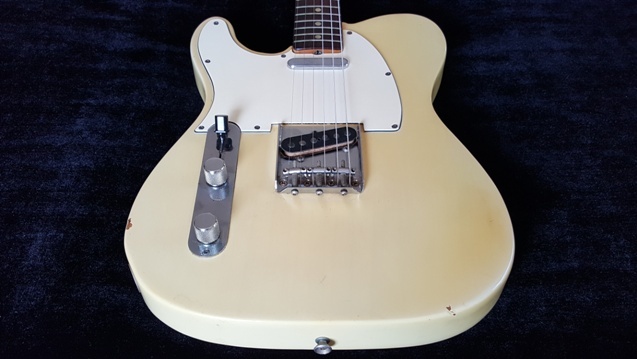 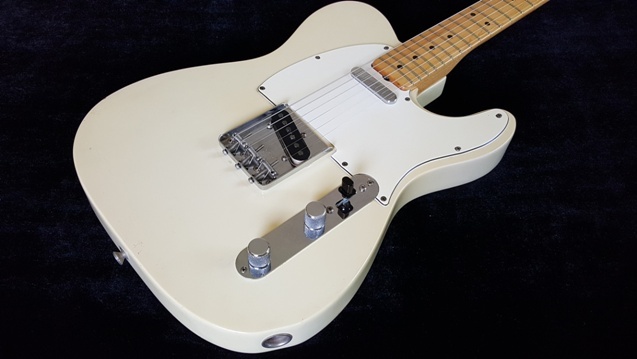 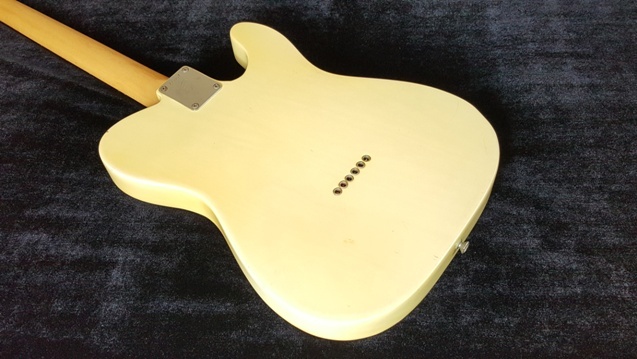 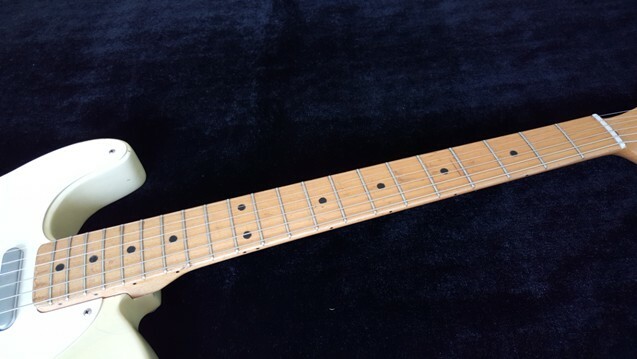 This is an unmolested, no issues, investment grade 1966 Blonde Fender Tele with the desirable maple cap neck. 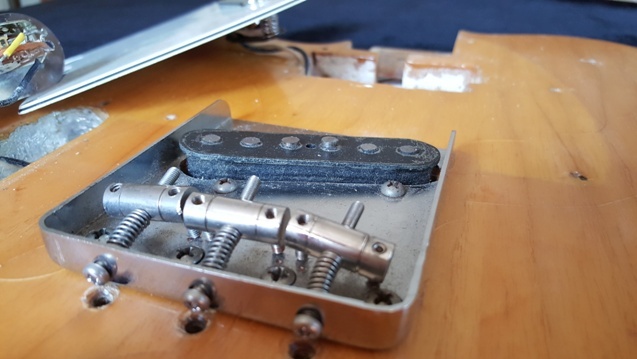 This guitar is 100% original and includes original bridge cover, strap, Fender booklet, and OHSC. 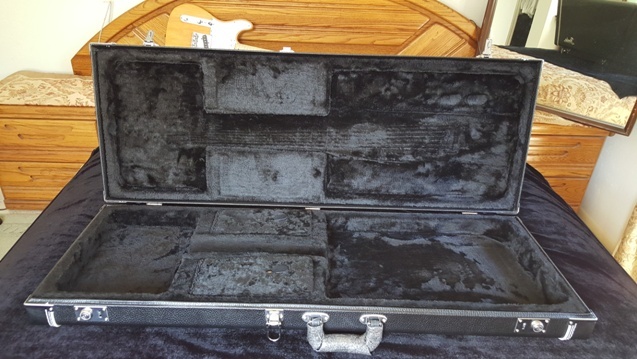 The case is as clean as the guitar with no separation of inner lining and both latches spring open! 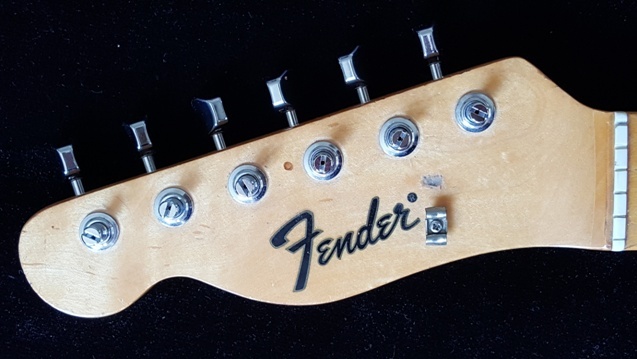 One thing that really stands out on this guitar is it’s loud unplugged – maybe the best Fender I’ve had in this regard. 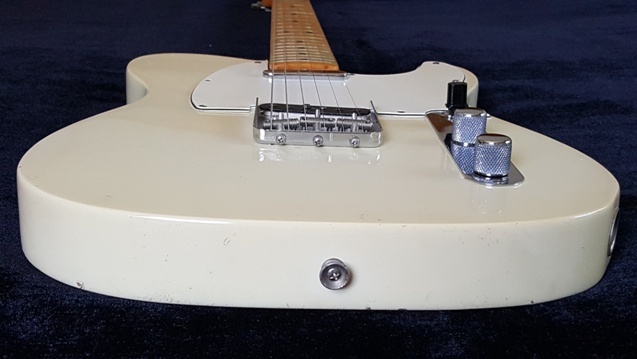 And then when you do plug it in, it does not disappoint: an extremely lively and resonant vintage Tele! 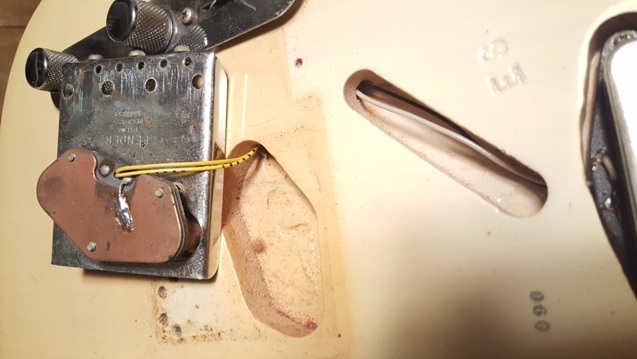 The guitar has been inspected and set-up perfectly by Scott Freilich of Top Shelf Music, and plays and sounds fantastic! 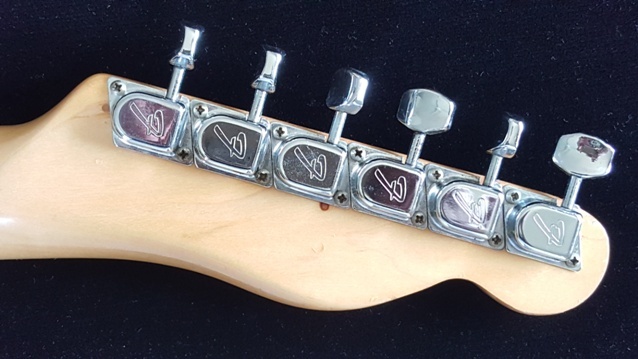 This is a player’s guitar, with many non-original parts. 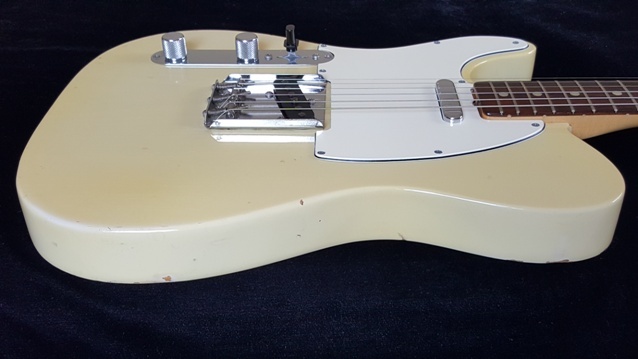 But it’s priced at about 1/3 of an all original late 60s left handed Tele with a rosewood fingerboard. 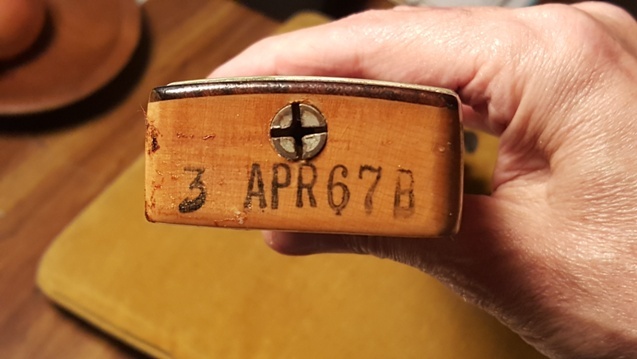 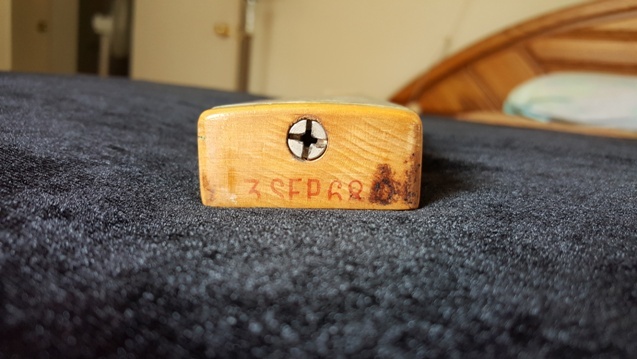 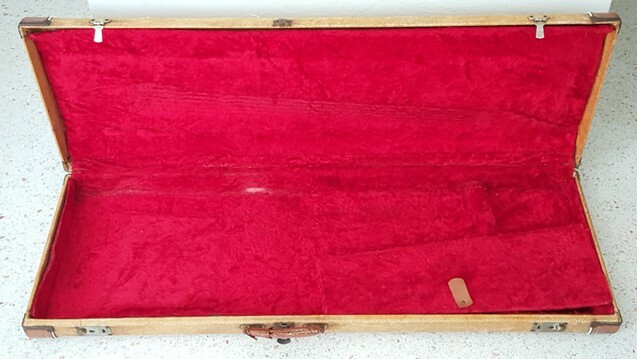 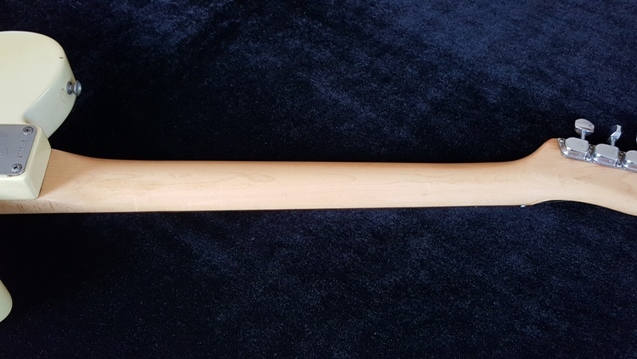 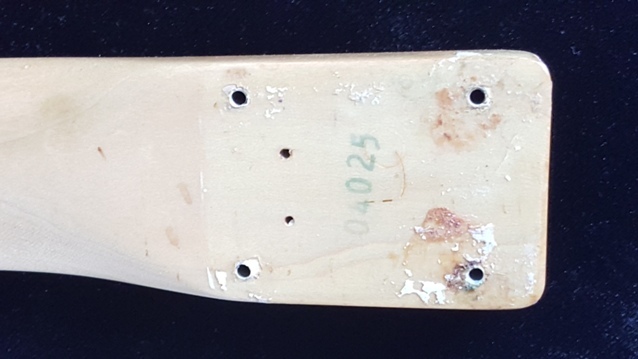 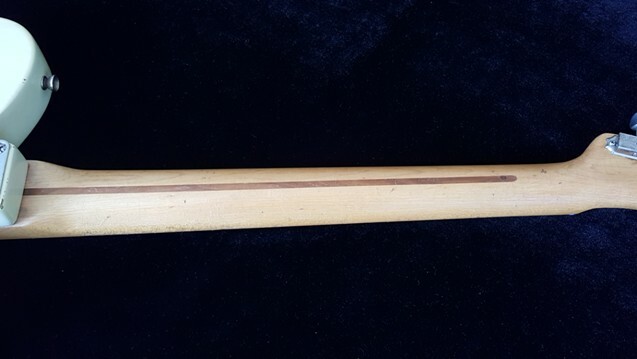 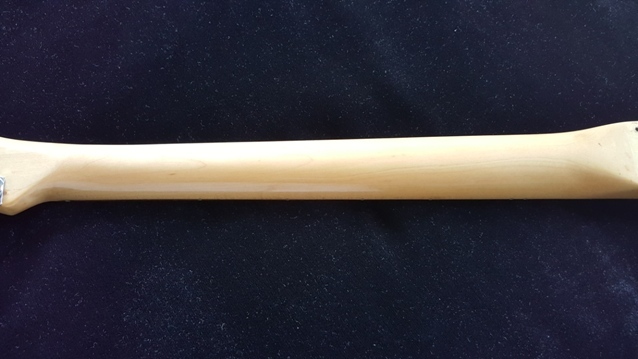 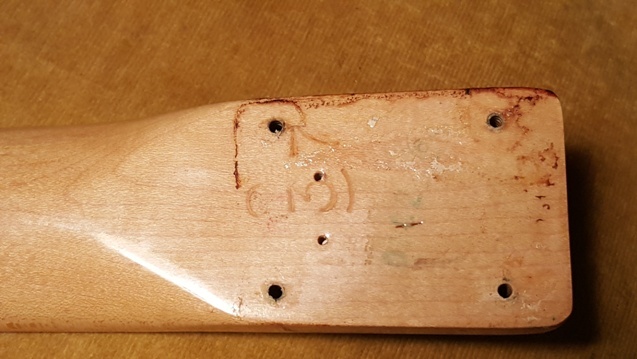 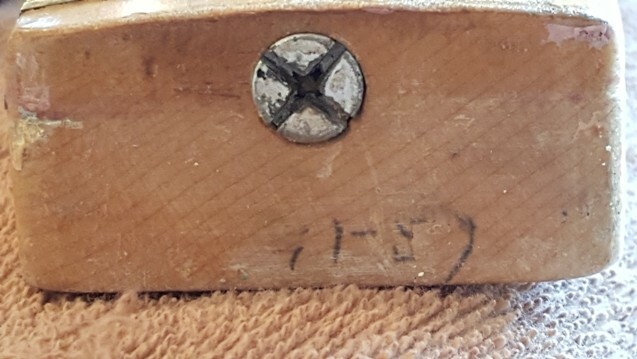 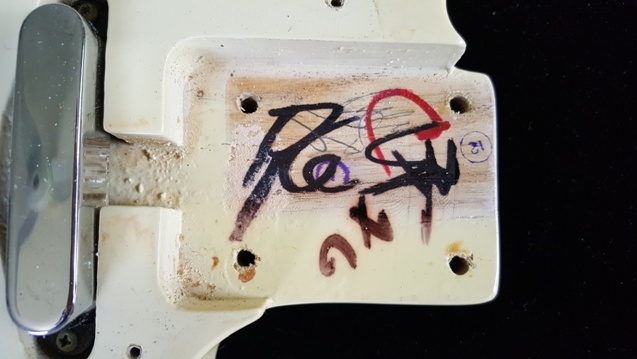 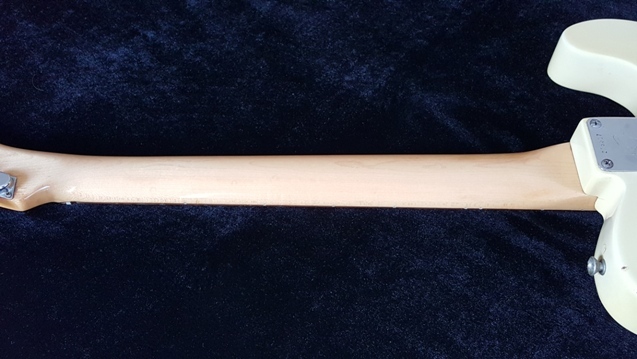 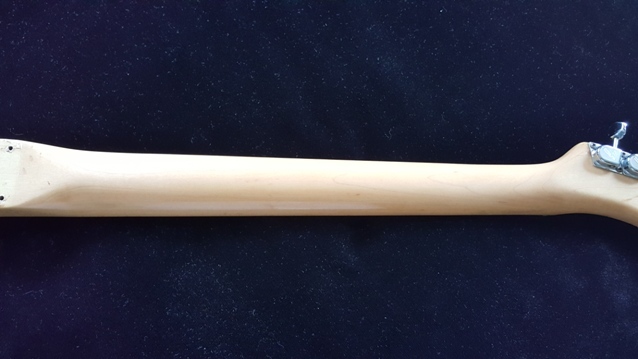 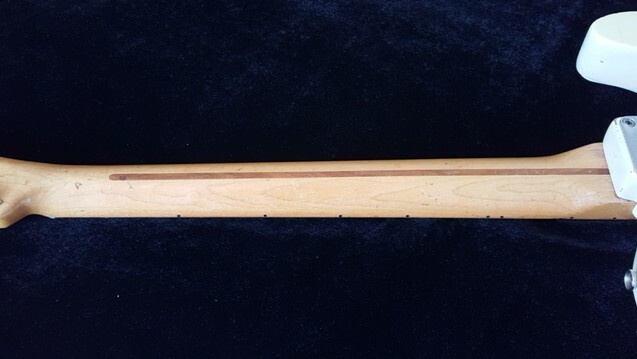 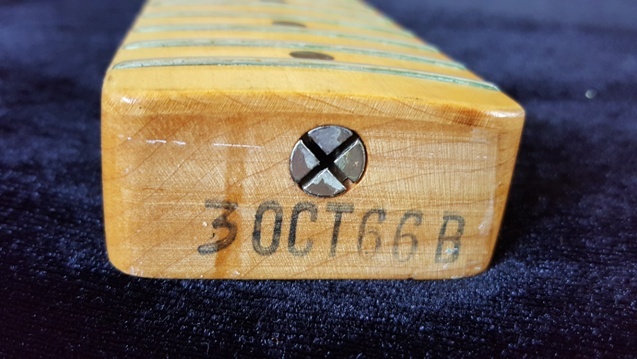 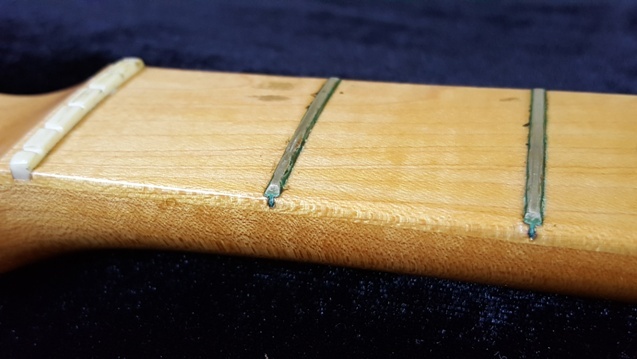 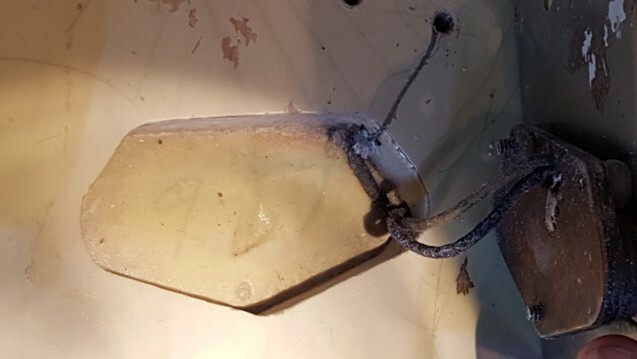 The prize is clearly the factory left handed maple cap neck, dated 3SEP68, so the rest of the guitar is just icing on the cake. 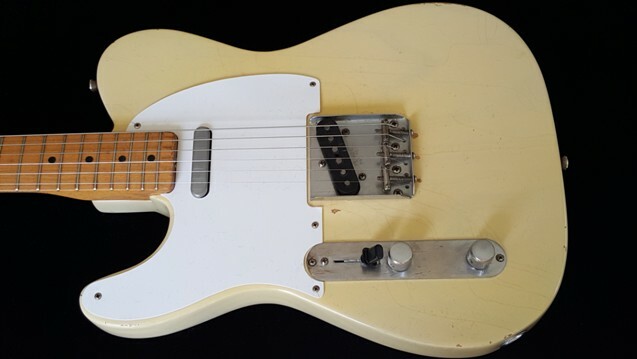 1967 Fender Tele, Twin Brother of a Killer Tele! 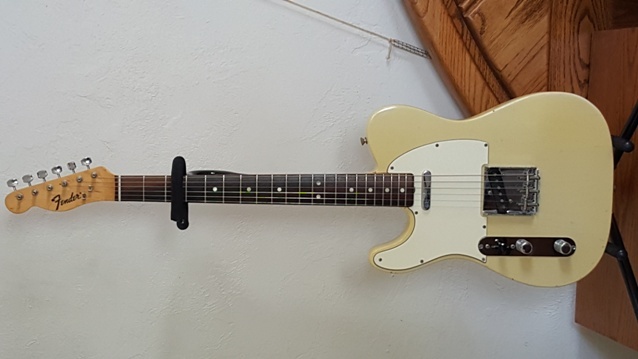 I had a really great 1967 Fender Tele last year. 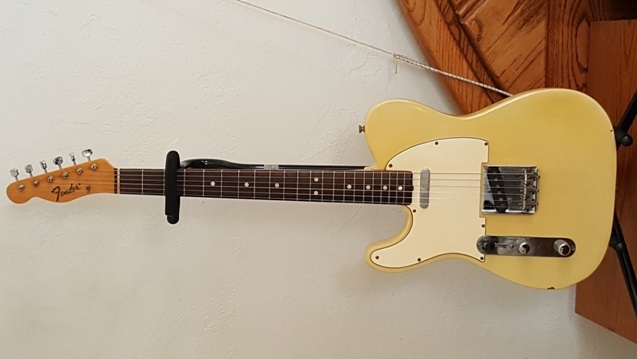 It played and sounded as good as any Tele I’ve had. 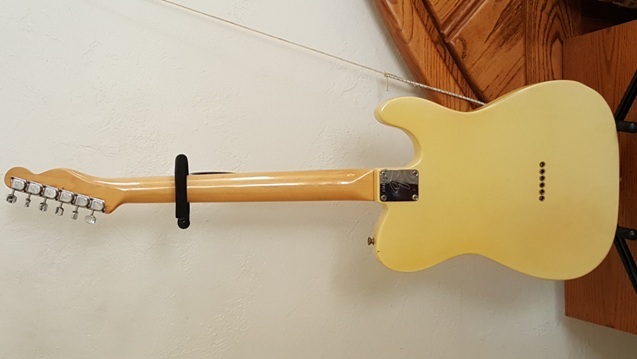 I always wished I had another one like it. 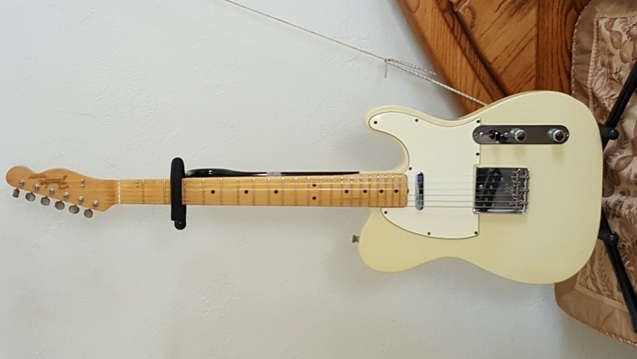 Well, it’s here! 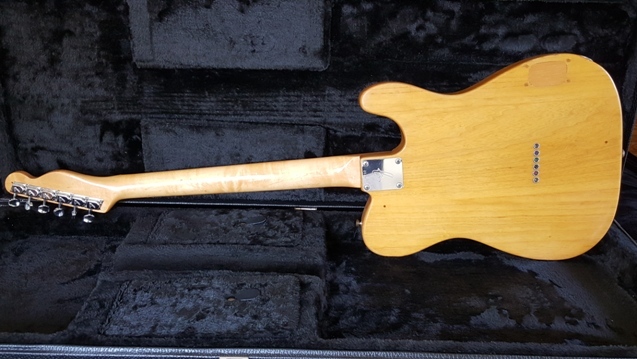 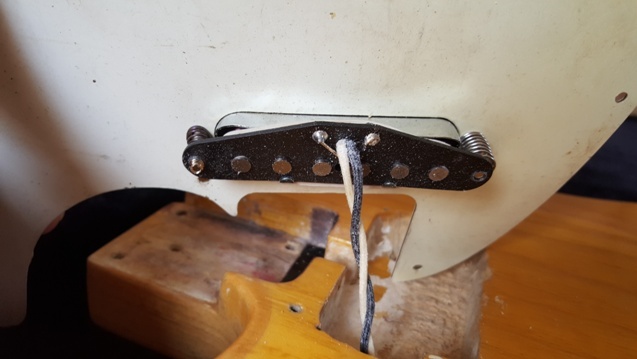 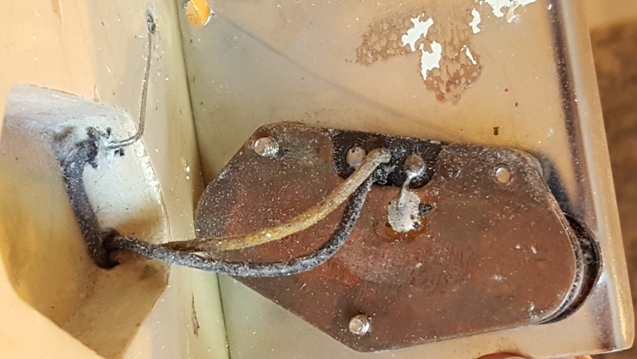 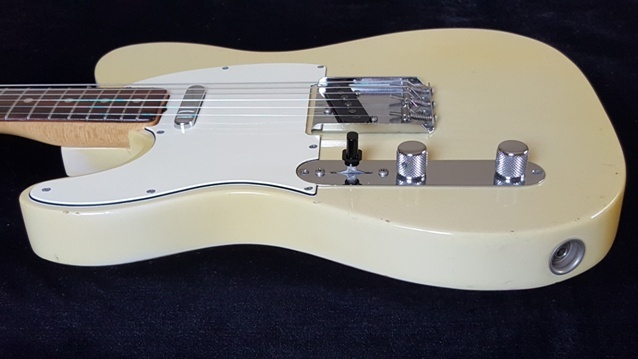 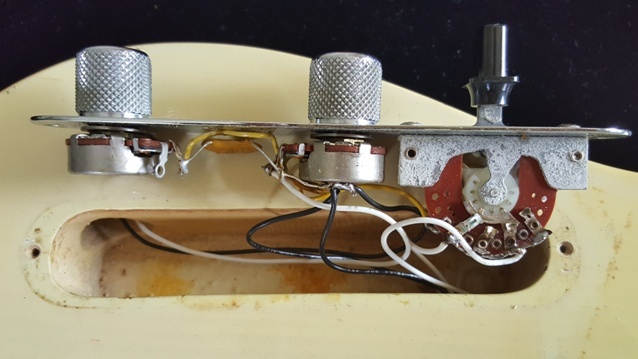 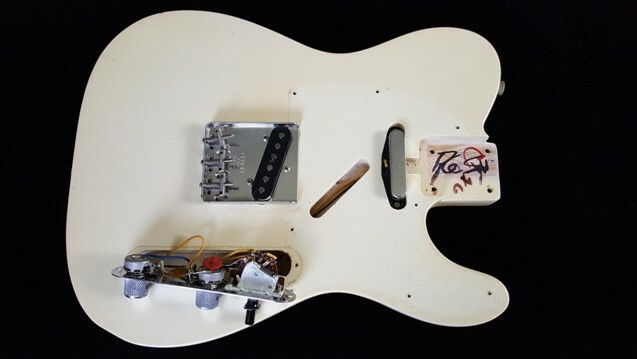 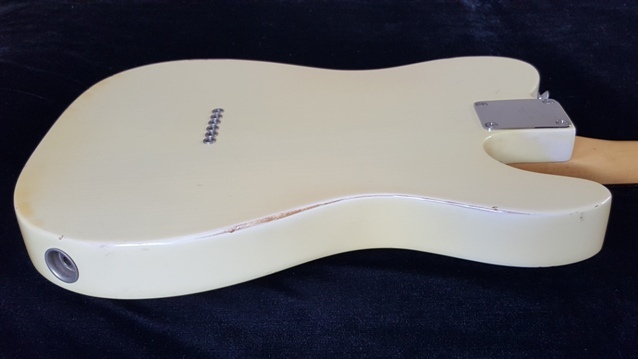 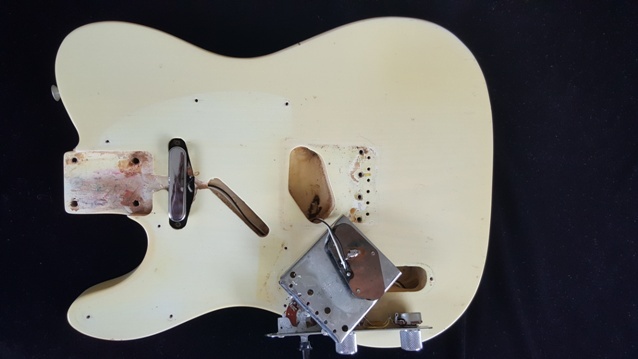 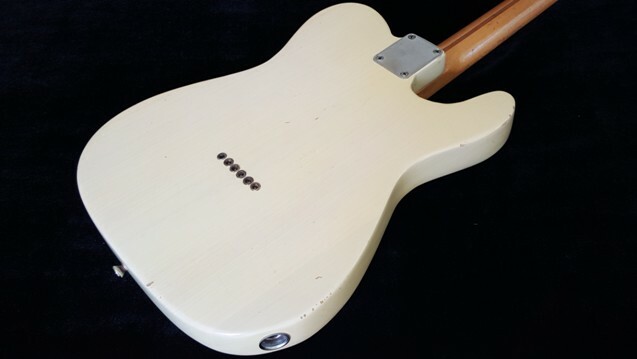 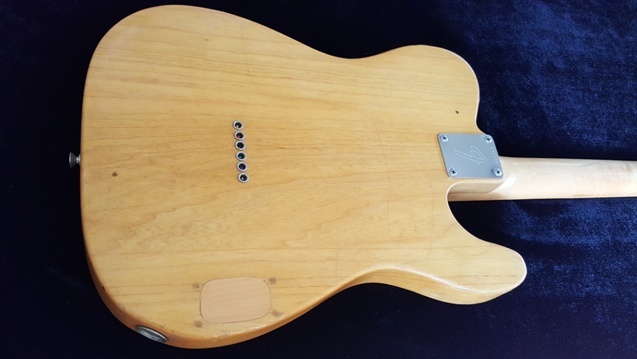 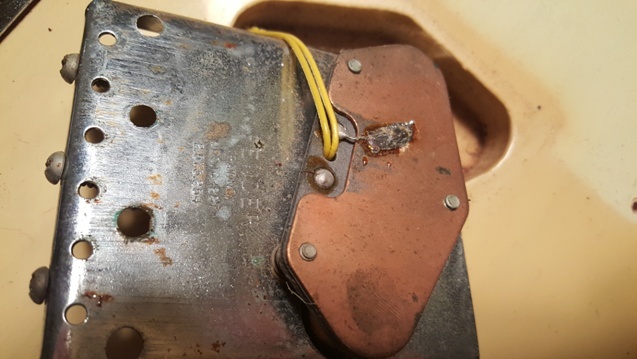 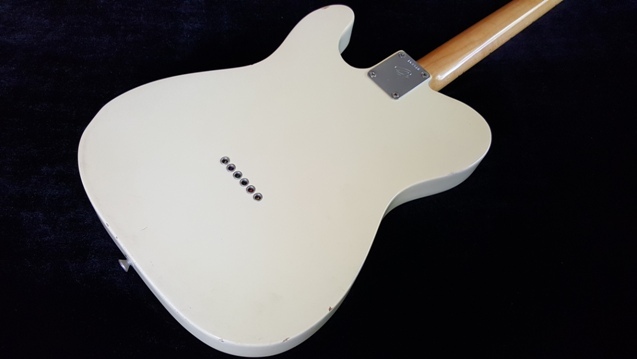 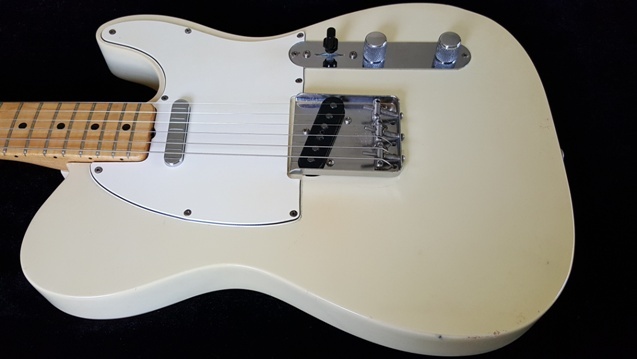 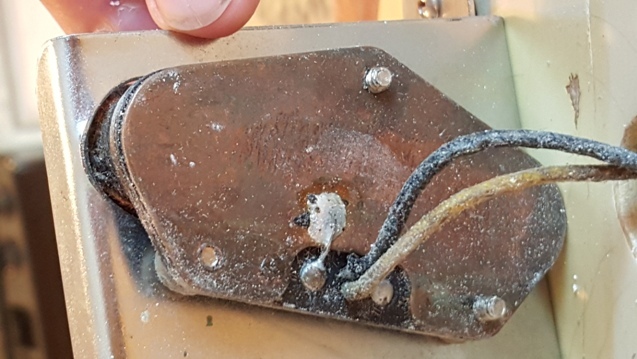 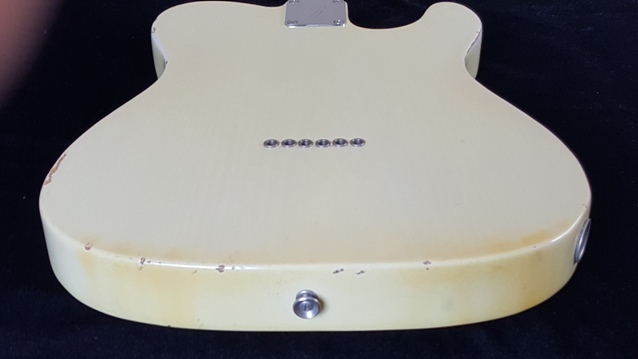 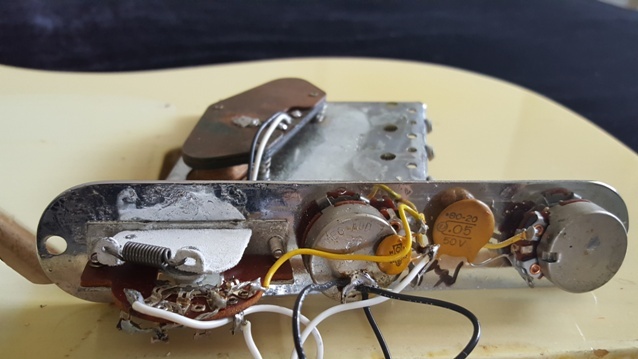 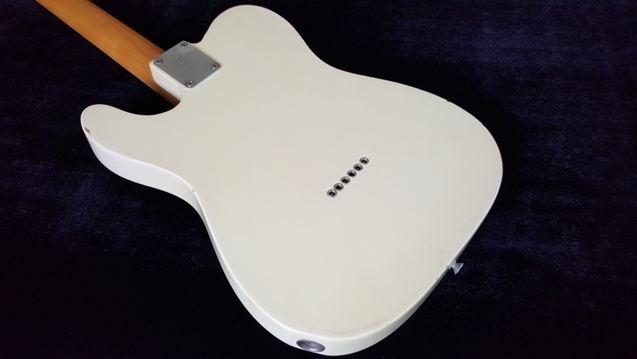 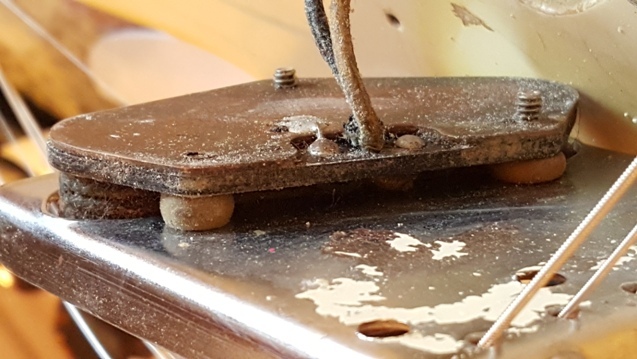 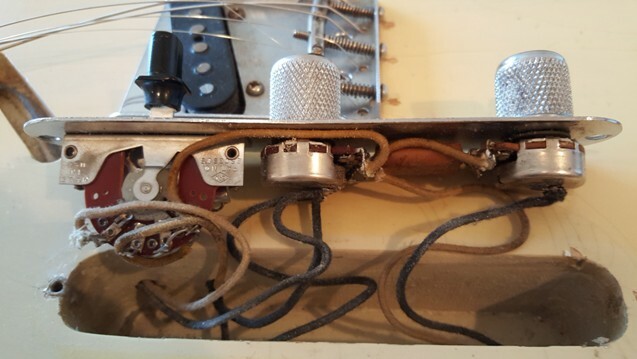 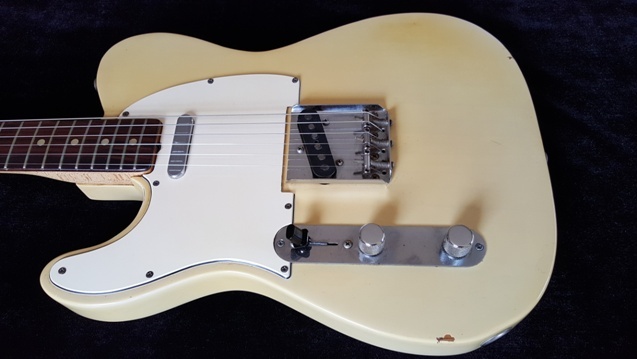 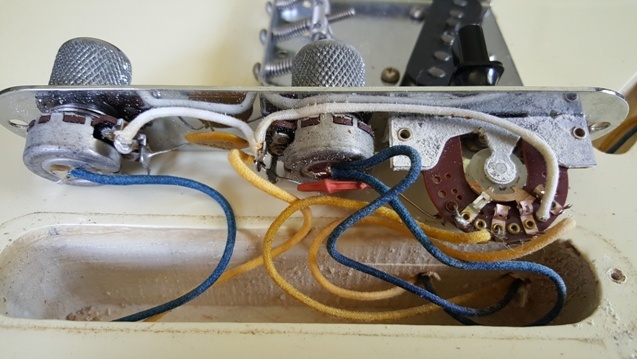 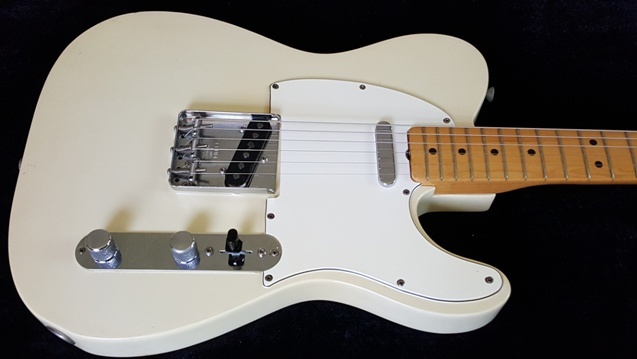 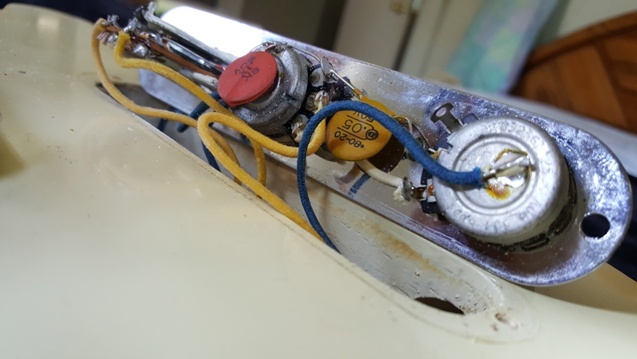 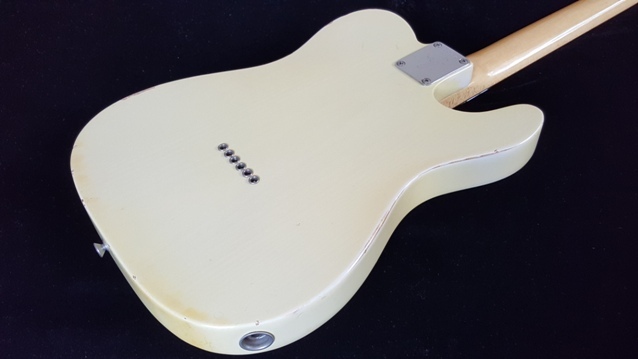 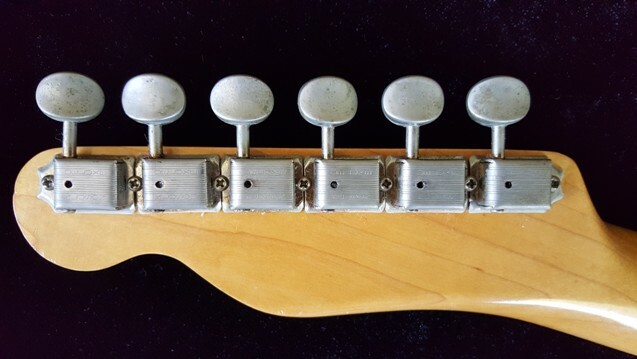 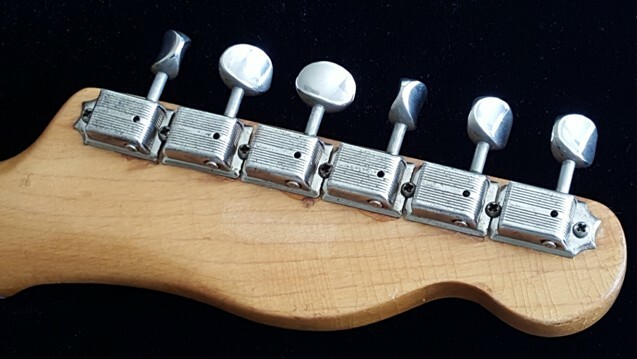 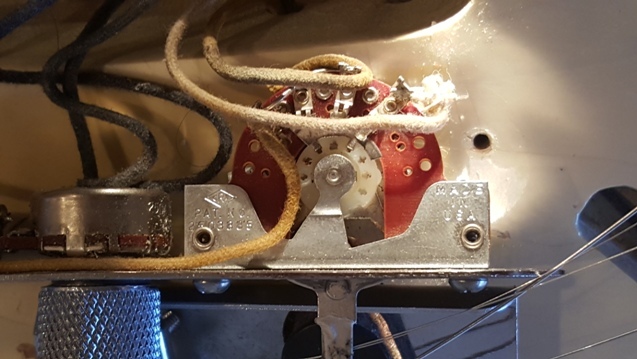 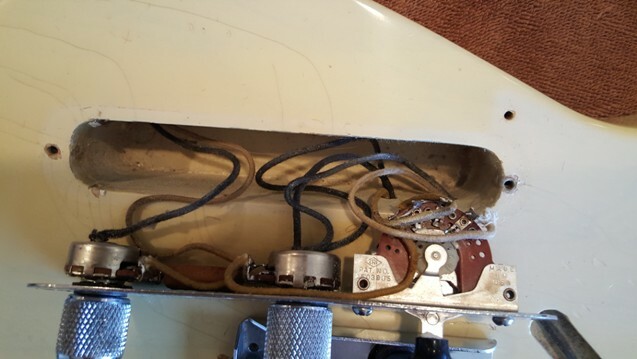 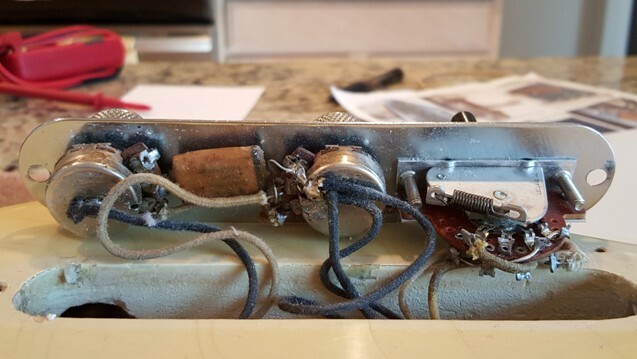 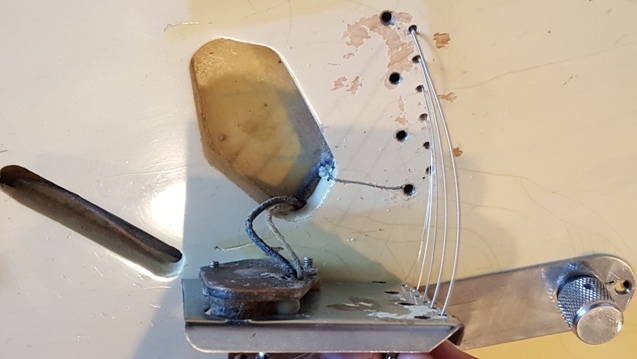 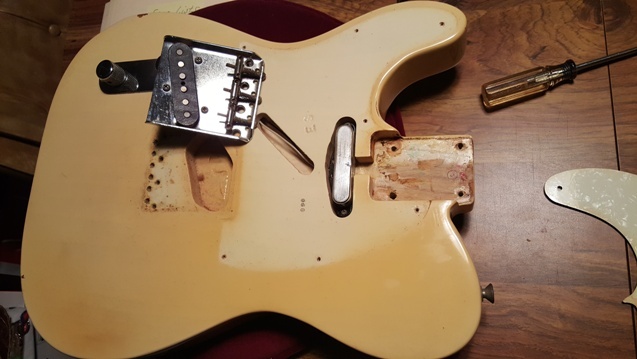 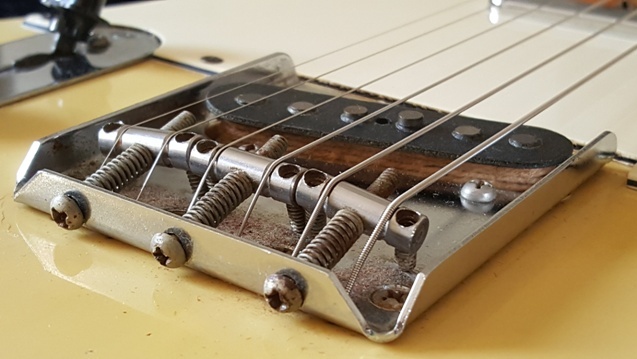 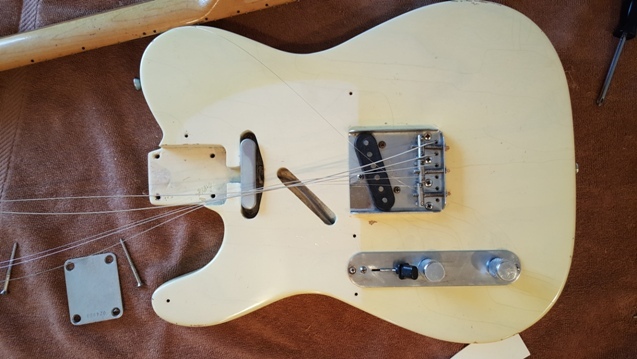 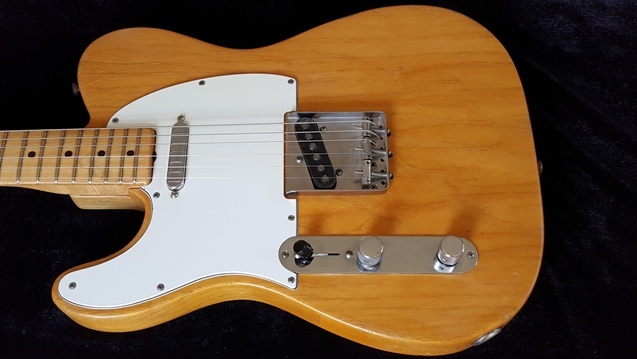 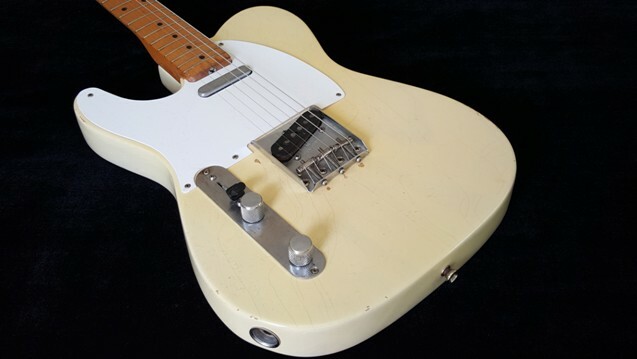 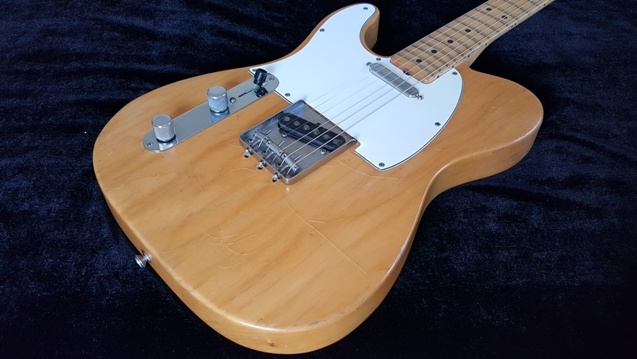 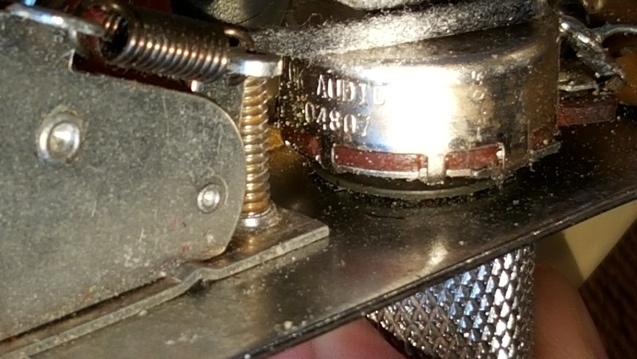 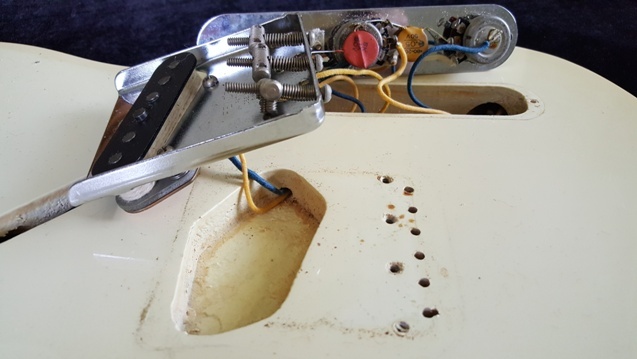 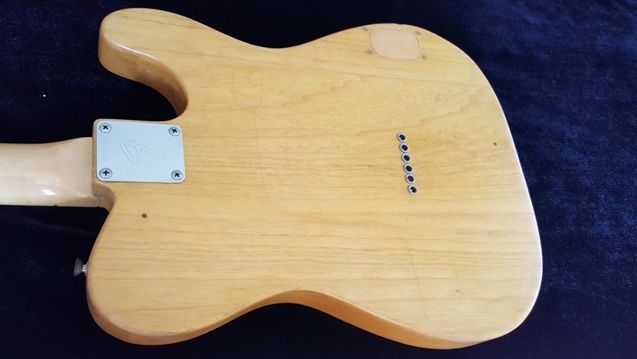 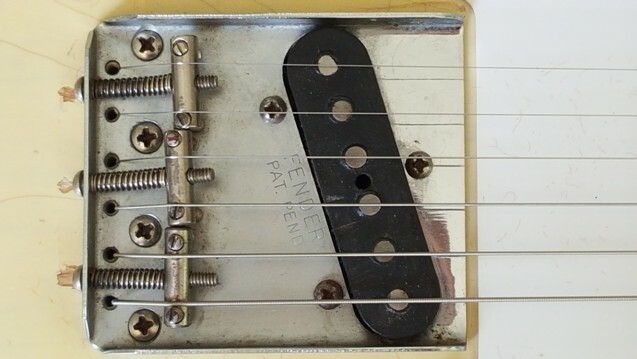 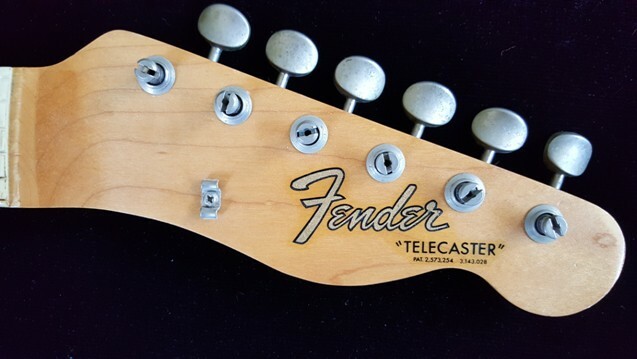 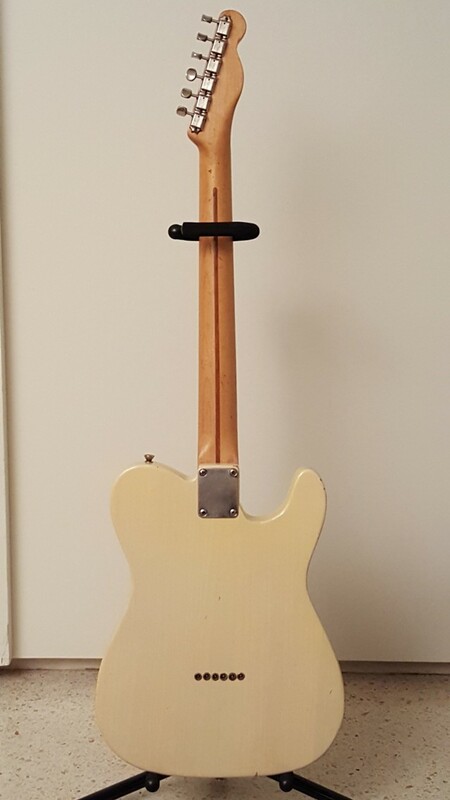 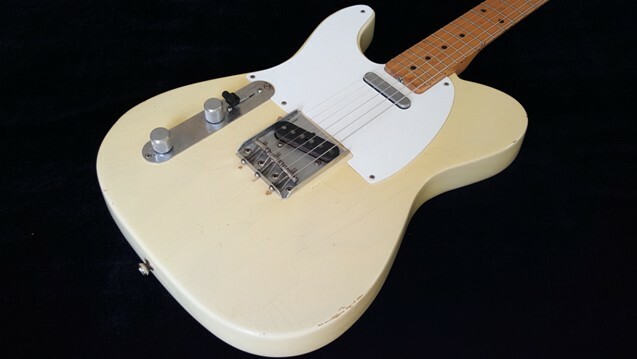 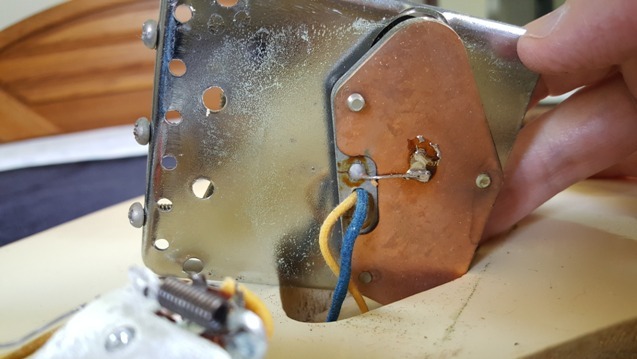 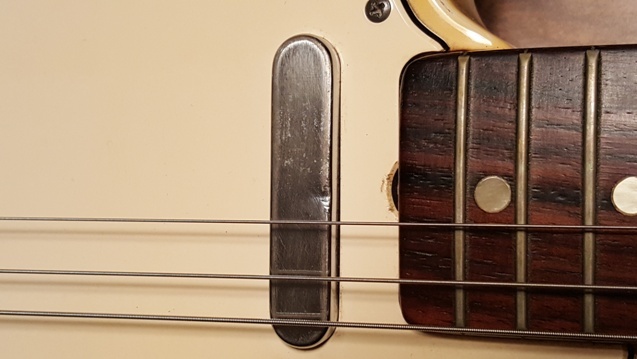 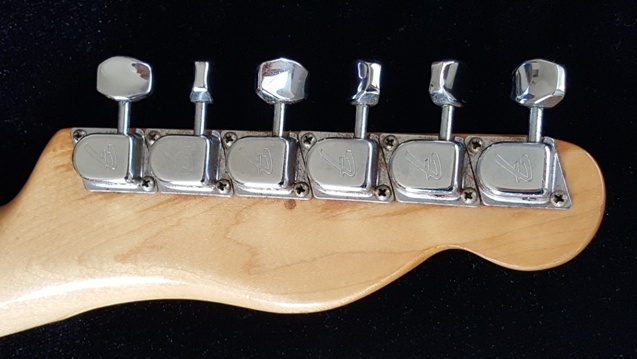 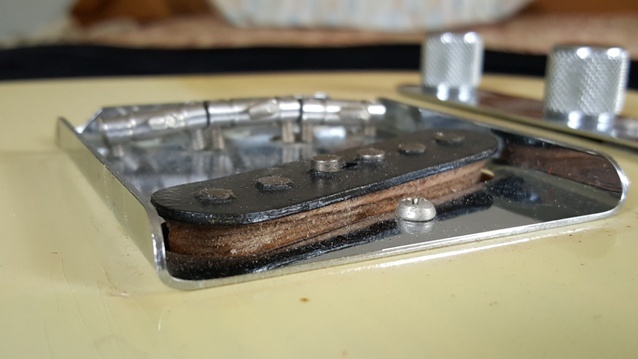 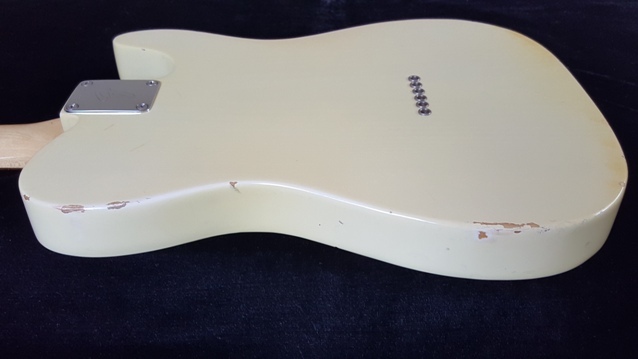 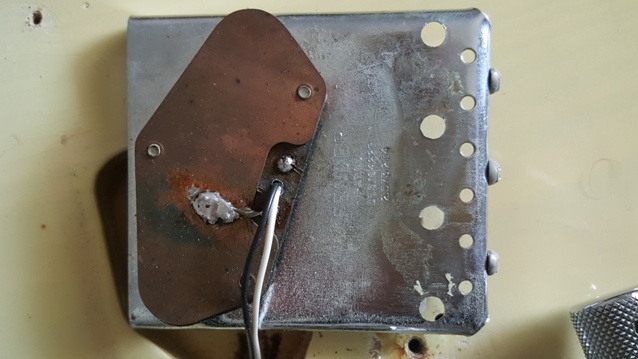 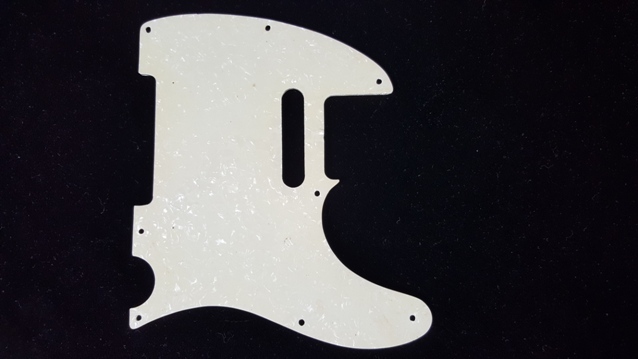 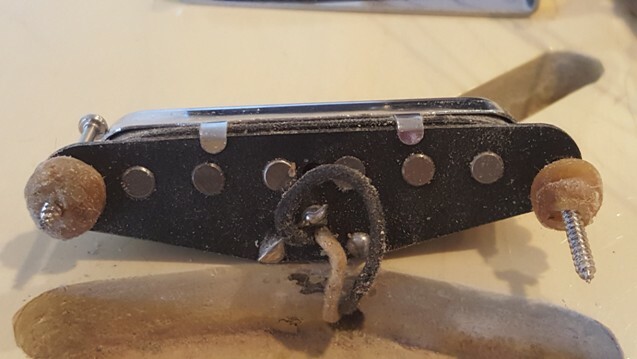 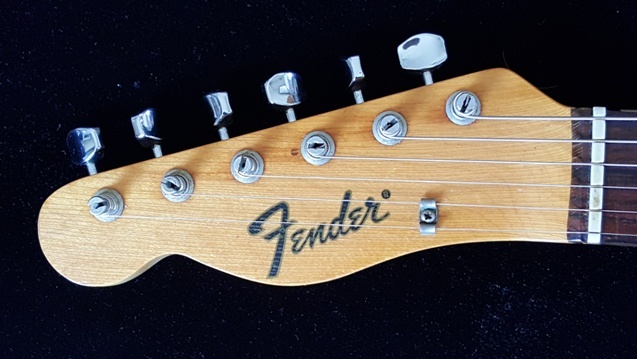 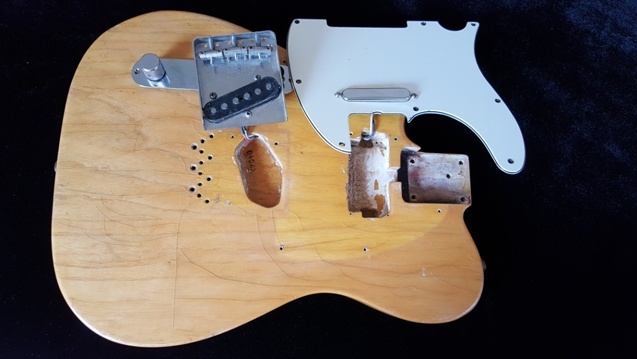 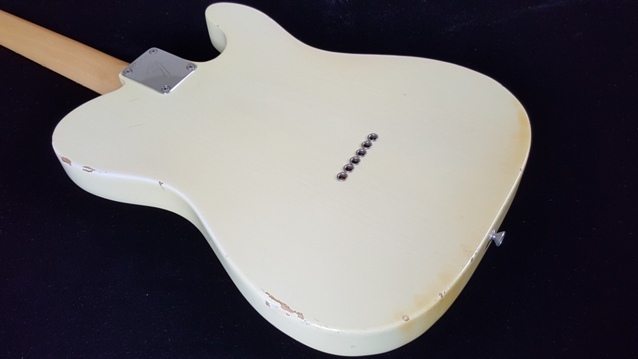 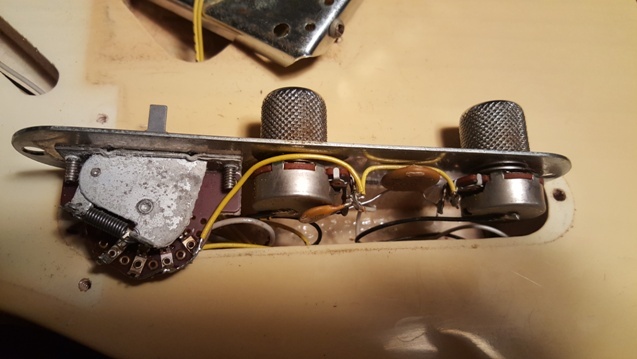 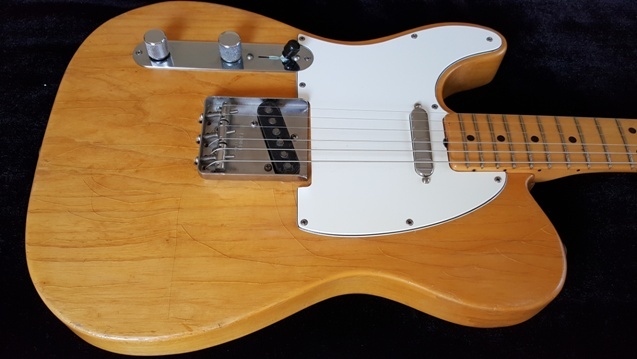 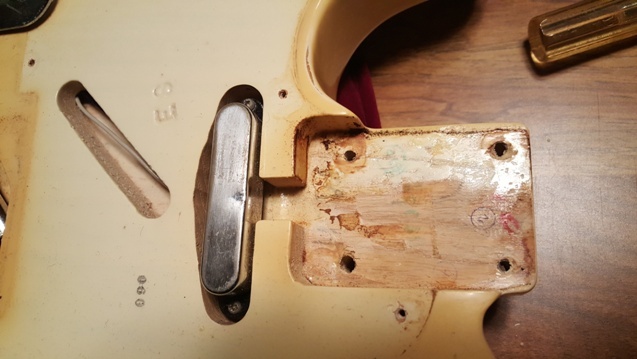 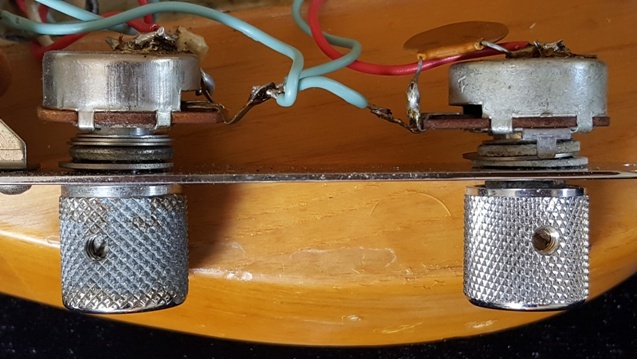 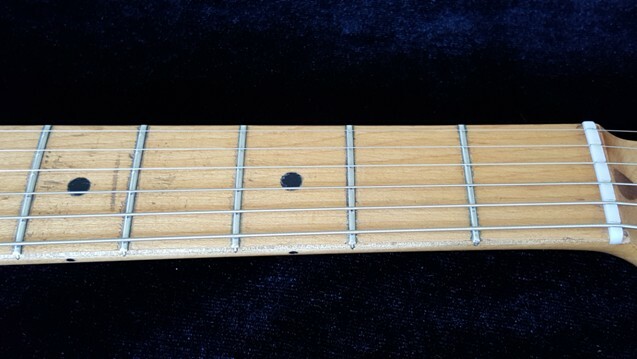 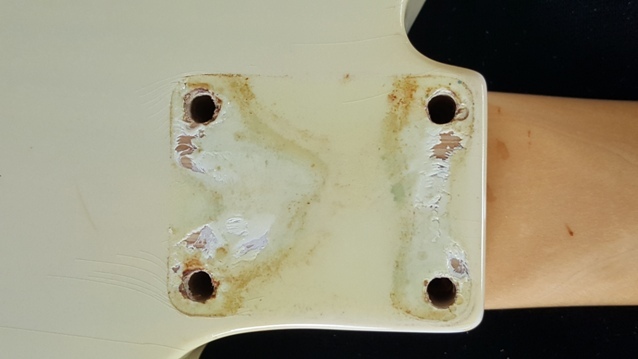 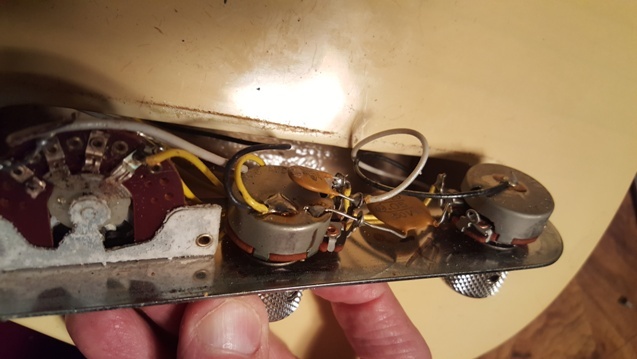 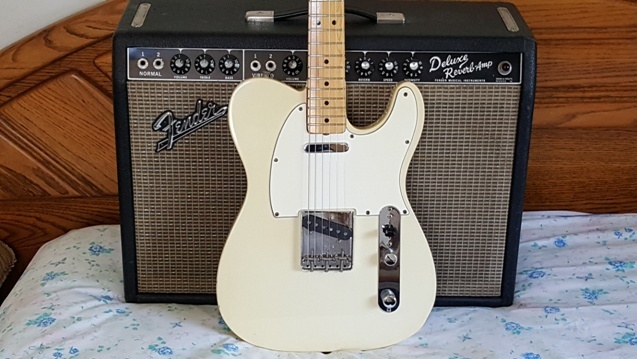 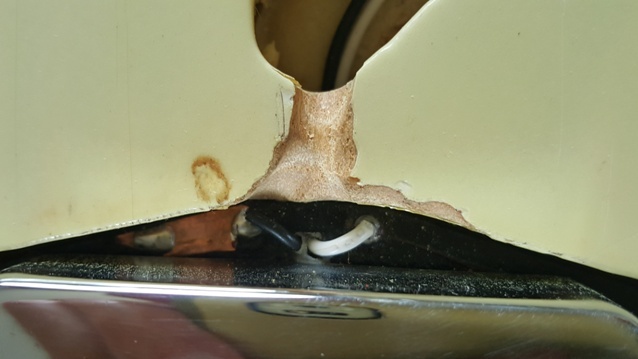 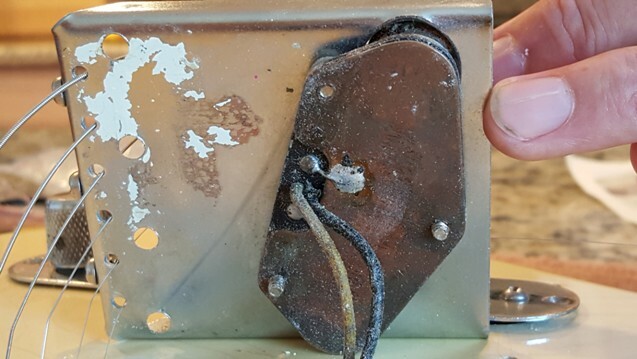 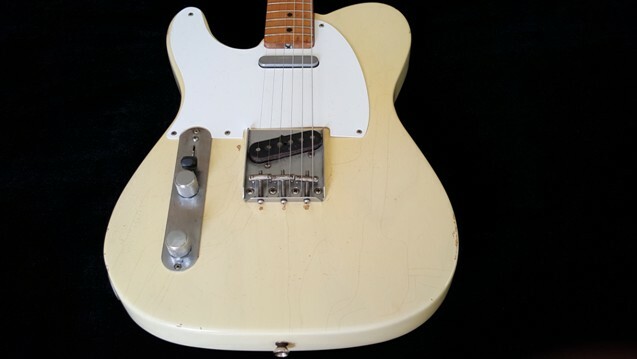 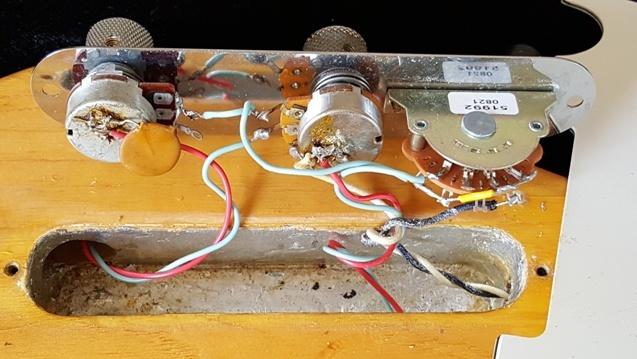 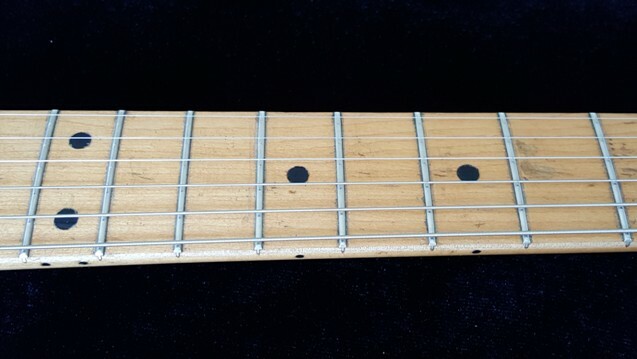 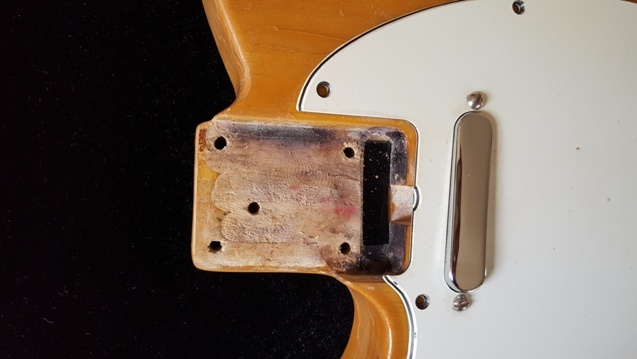 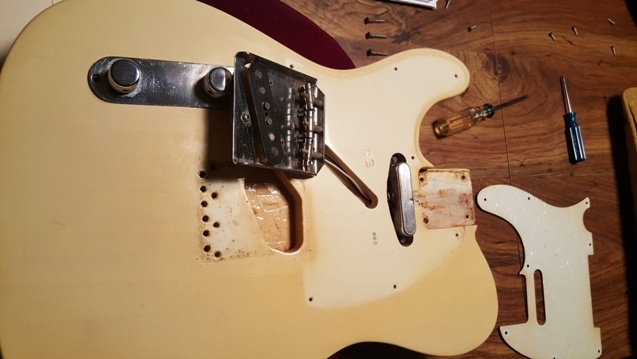 This is a 1967 Fender Tele which is the twin brother of the earlier Tele: it has the same neck stamp/date( 3APR67B), pot codes within 2 weeks(137 6636), and identical neck depth – .87/1st, .92/12th. 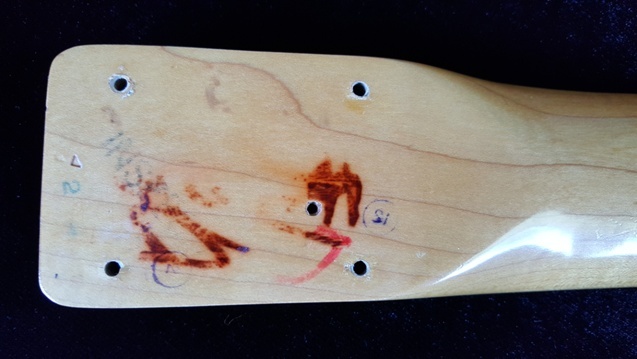 Body is stamped “ES,” which was Fender code for a special-order guitar.